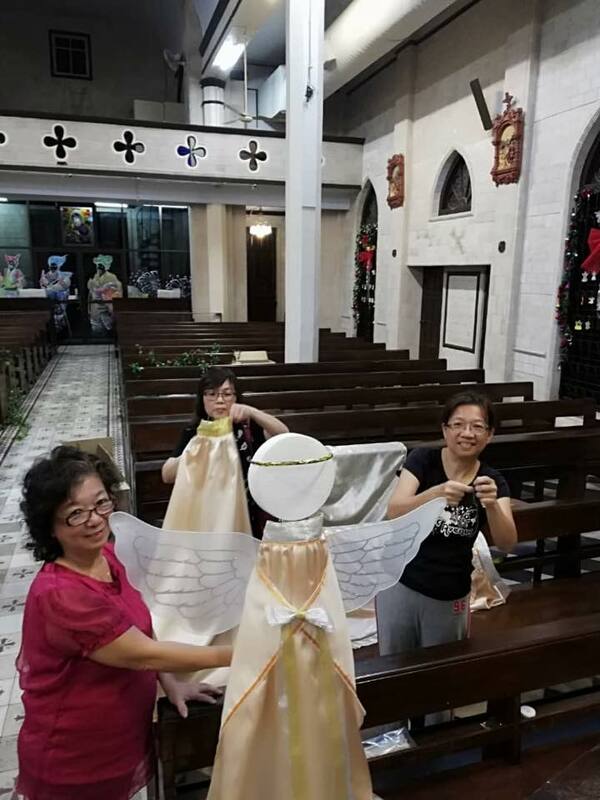 SMC's recycling project began on Christmas Eve, 2018. Recyclable items accepted are paper, plastic and electrical items. 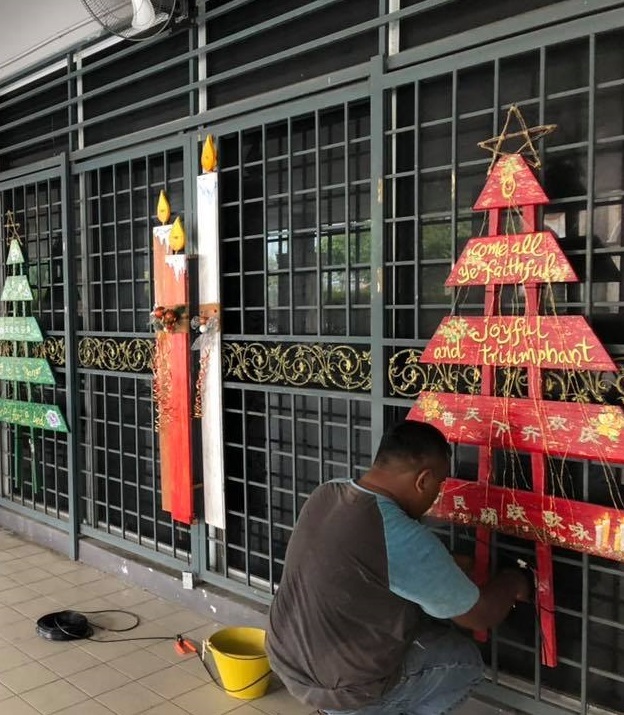 The items sorted according to the respective categories are to be placed in the relevant spaces in the recycling hut opposite the Oak (next to new columbarium). The recycling contractor will collect the recyclable items from SMC's recycling centre on the fourth Monday of every month. 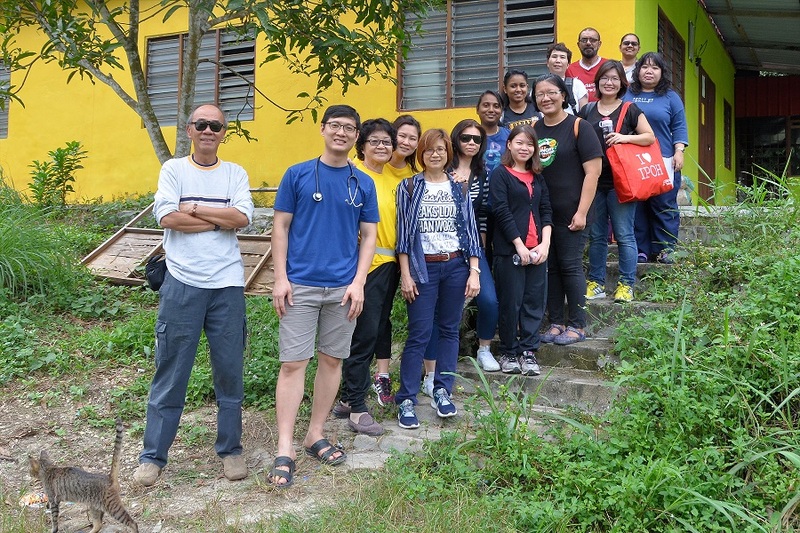 SOA teams headed out to different villages in Gerik and Kuala Kangsar on 8th Dec 2018. 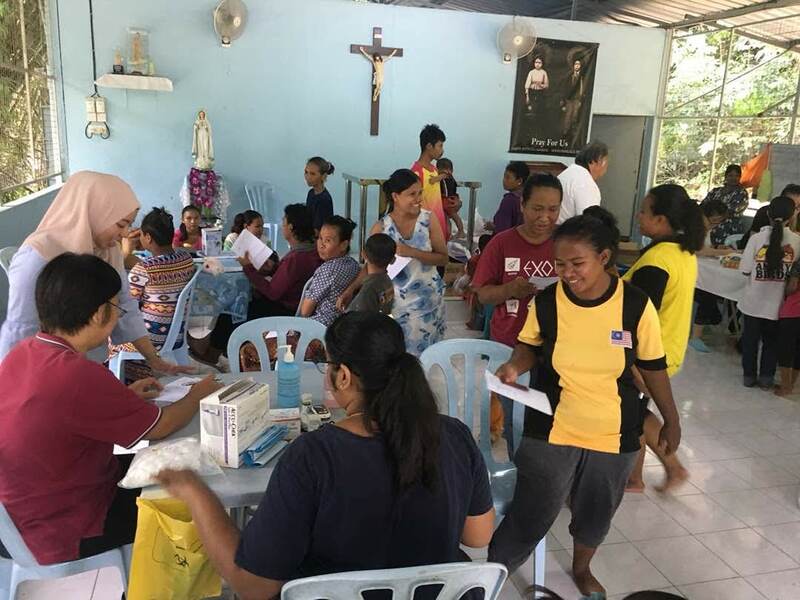 The first SOA team visited Gerik while the second team together with friends from Kuala Kangsar, helped to deliver food aid packs to 13 families in Kuala Kangsar and paid a visit to the chapel under construction at the village. 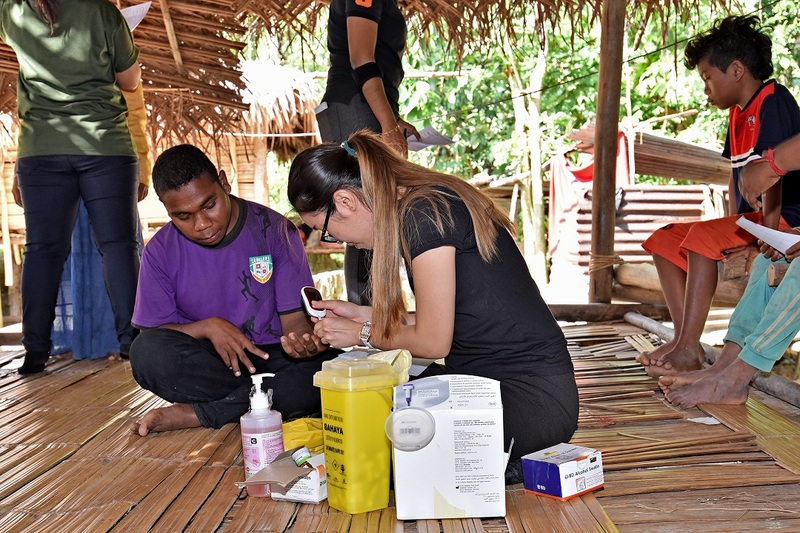 The SOA team in Gerik were joined by their partners Pink Shoes, CHOICE Penang and SJAM volunteer from Melaka to conduct a mini-medical camp and some learning workshops for the Orang Asli community there. 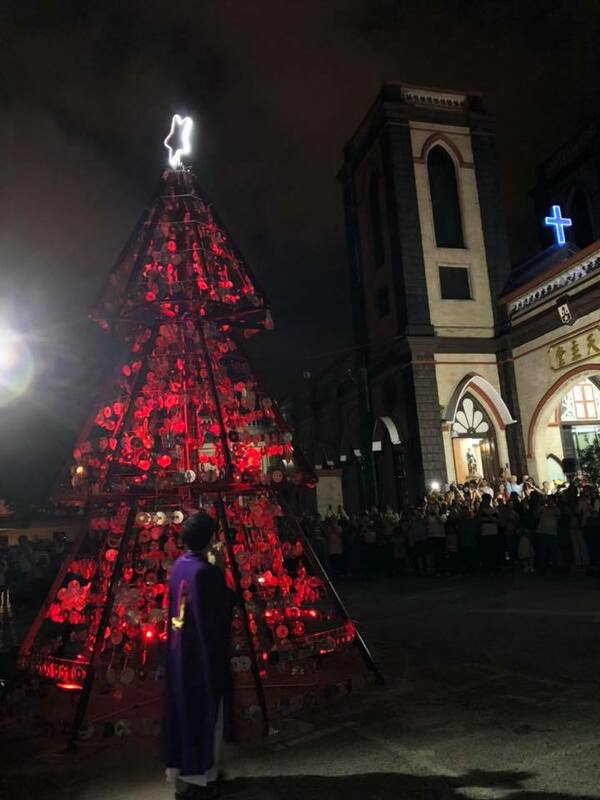 Parishioners gathered outside the church after sunset mass on the first Sunday of Advent, to witness the official lighting of the church's 20ft Christmas tree. 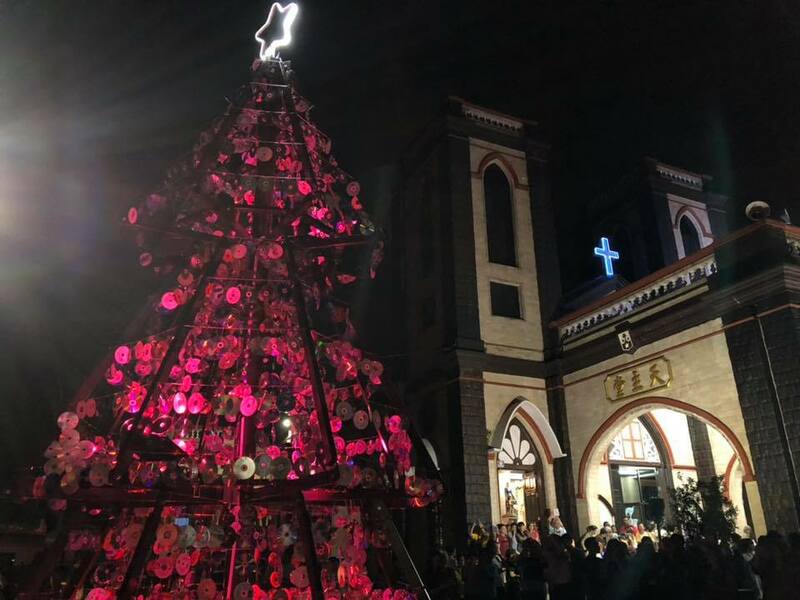 The metal tree, generously sponsored by a parishioner, is made up of hollow sections and carefully decorated with optical discs and colour-changing lights. 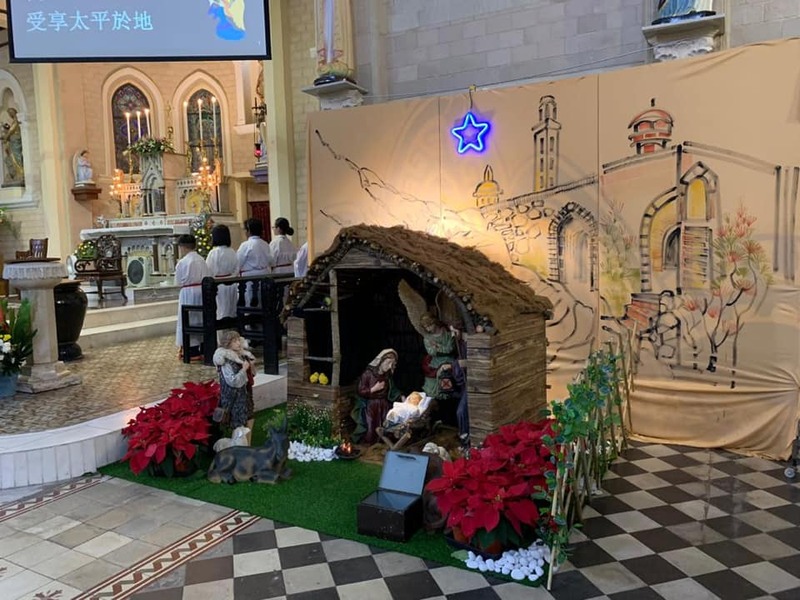 Parishioners recited the Lord's prayer, one Hail Mary and Glory Be before counting down. 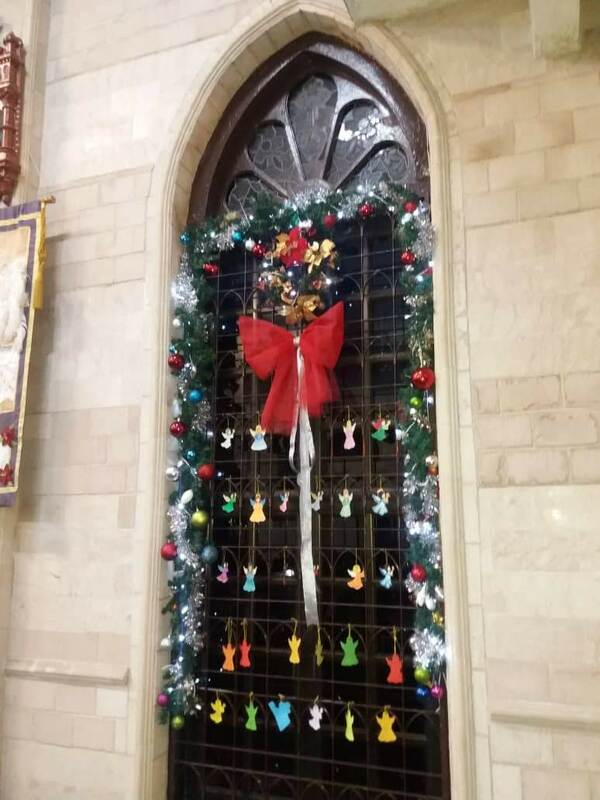 After a 10 second countdown, the tree was officially switched on by Fr Anthony Liew. Click on photos for clearer view. 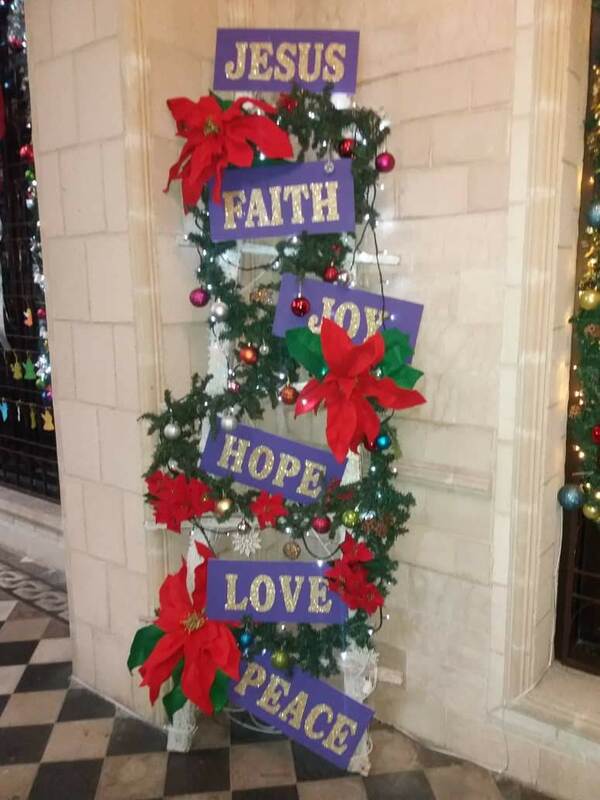 Thank you to all the volunteers who helped to decorate the church for Christmas this year and also to the donor who sponsored this year's unique 20 foot tree. 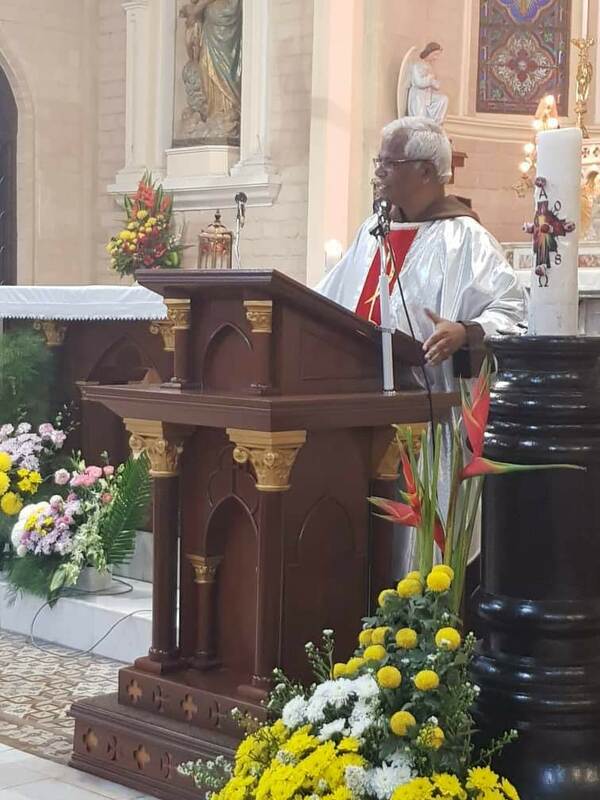 Fr Joe Matthews OFM Cap. 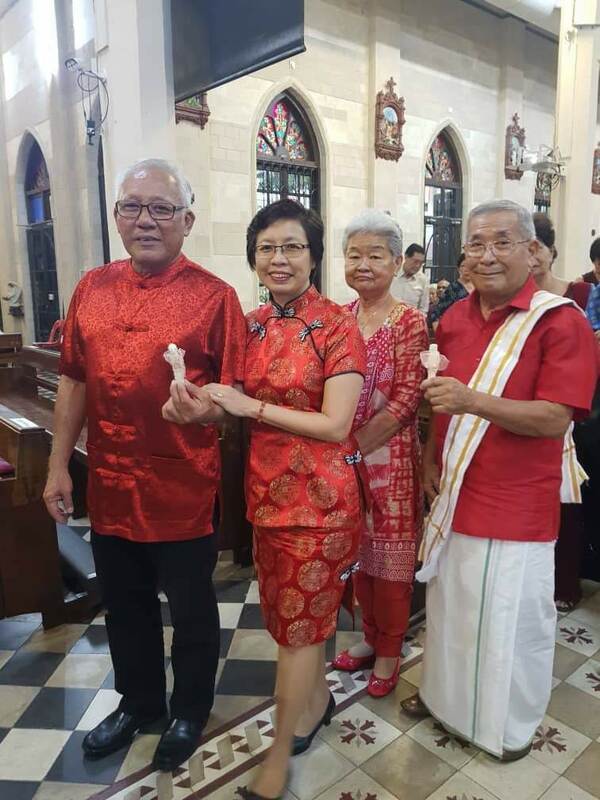 celebrated the solemnity of Christ the King on the evening mass of 25th Nov 2018. 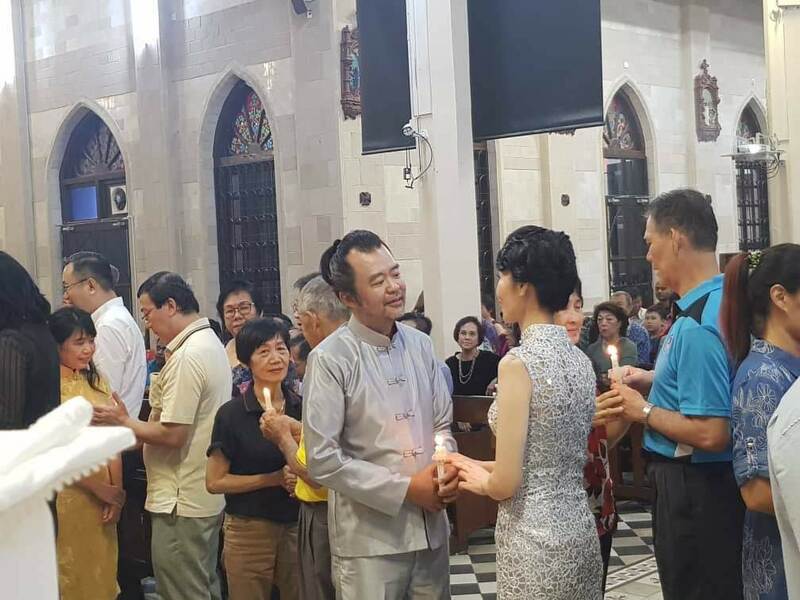 It was also a mass for couples under the Marriage Encounter group to renew their marriage vows. It was indeed interesting to see various married couples were decked out in their finest colour co-ordinated Sunday best. 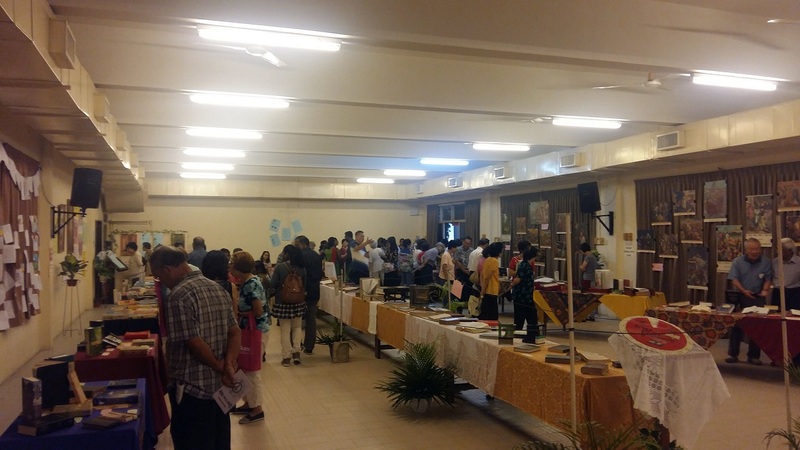 The ME group proceeded to a dinner at the parish hall after mass. 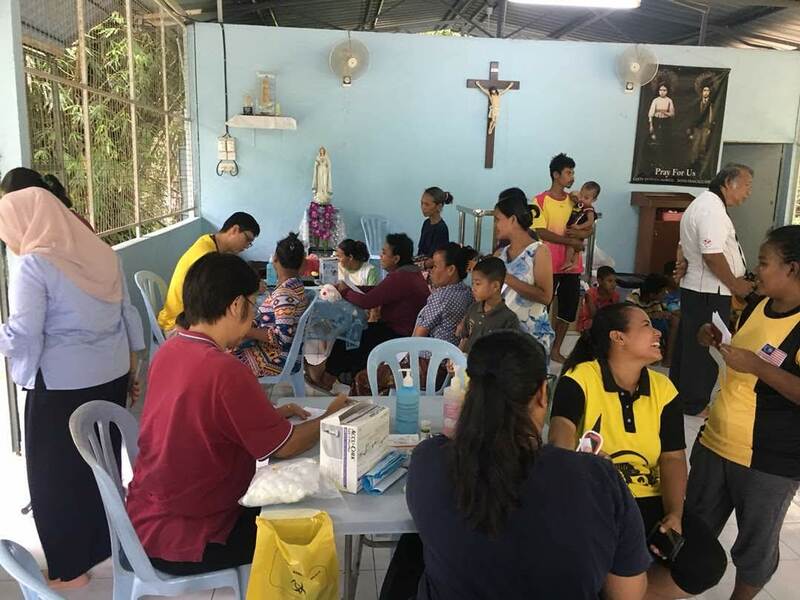 Distribution of food packs and goodie bags to the patrons of SMCs Soup Kitchen outside the Oak by the Chinese Apostolate Evangelisation Group. 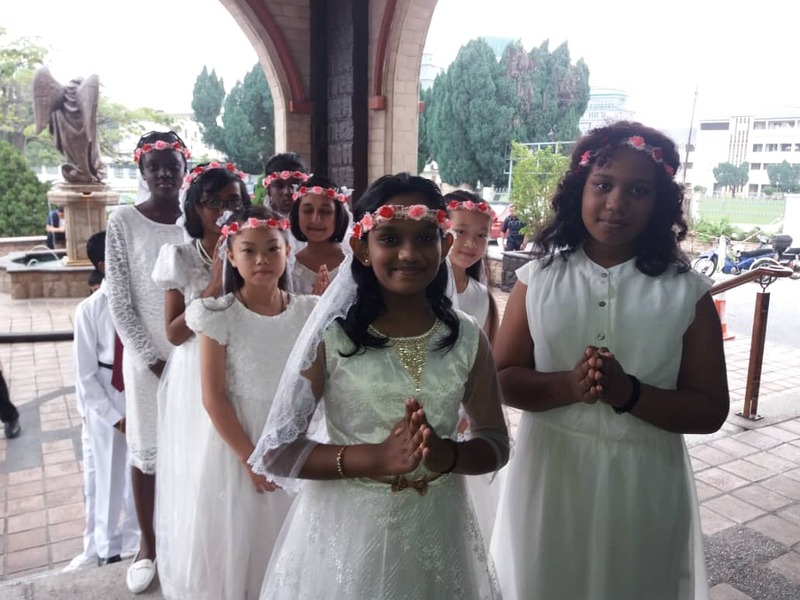 First Holy Communion at 8.00 a.m. English-language mass with Infant Jesus Choir in attendance. 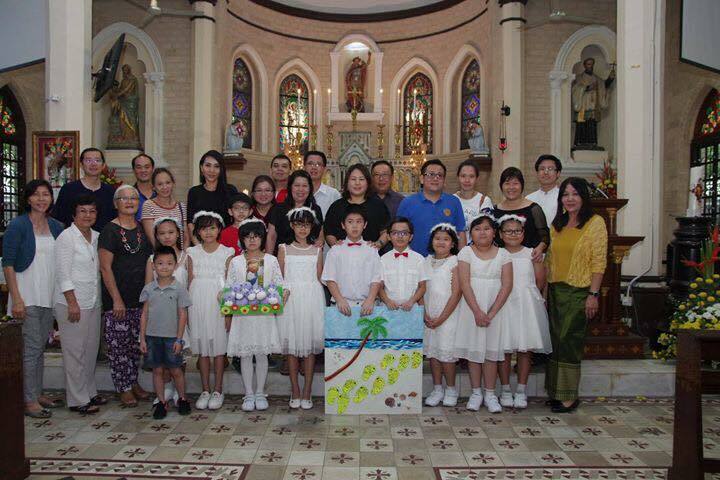 First Holy Communion at the 10.00 a.m. Mandarin-language mass. 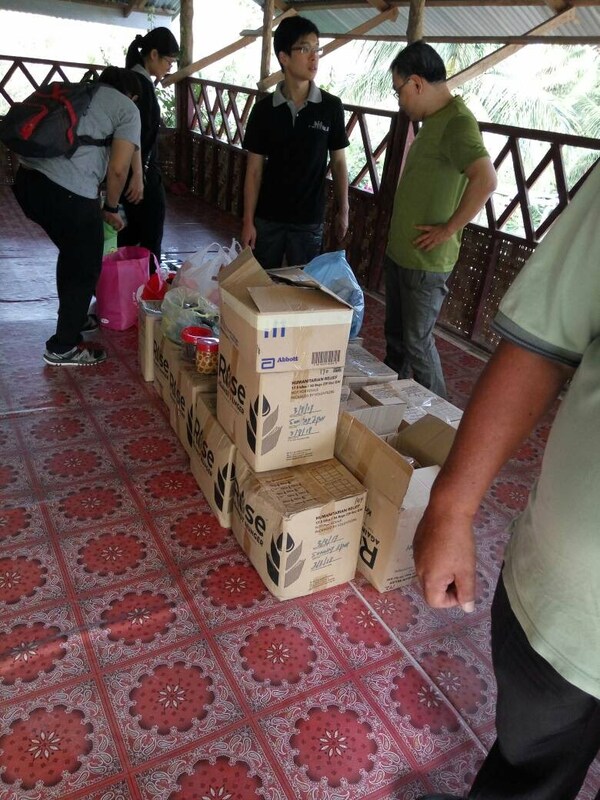 Delivery of food aid to families in Kg Balang in Kuala Kangsar and Kg Sekam in Cameron Highlands by two teams from SOA. 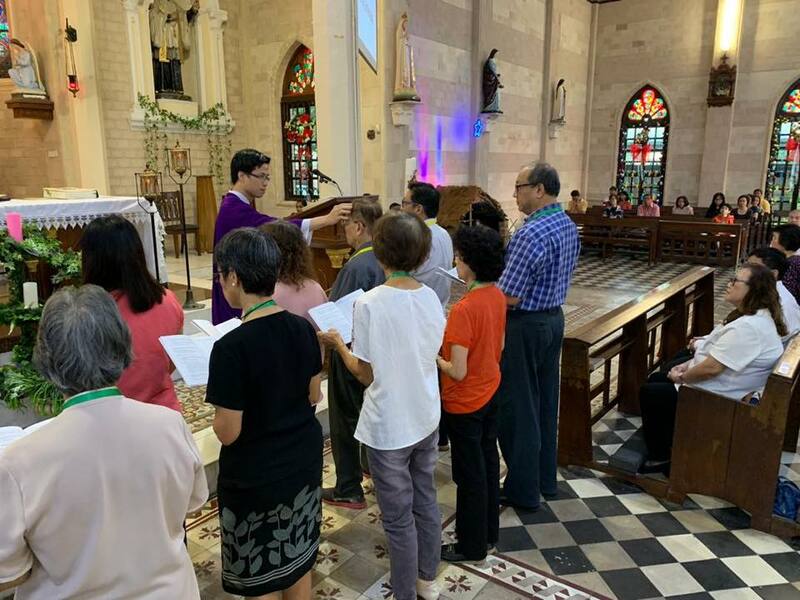 A total of 26 youth (12 English-speaking and 14 Chinese-speaking youth) were confirmed during the Confirmation mass concelebrated by Bishop Sebastian and parish priest Fr Anthony Liew. 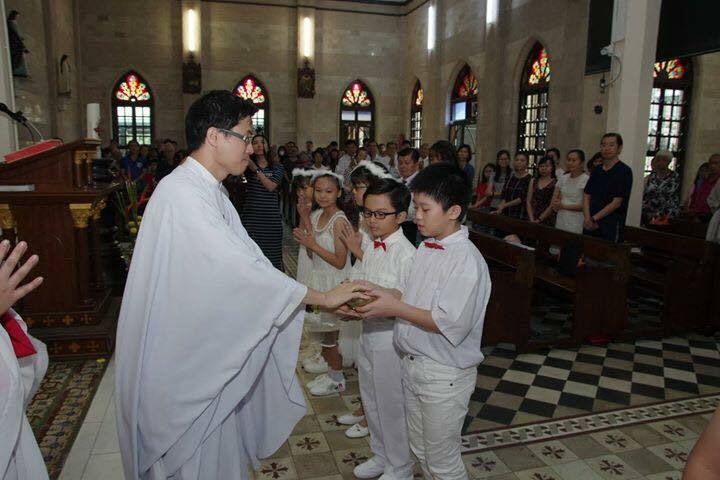 Fr Robin Andrews, parish staff and parishioners warmly welcome Fr Anthony Liew, our new parish priest. 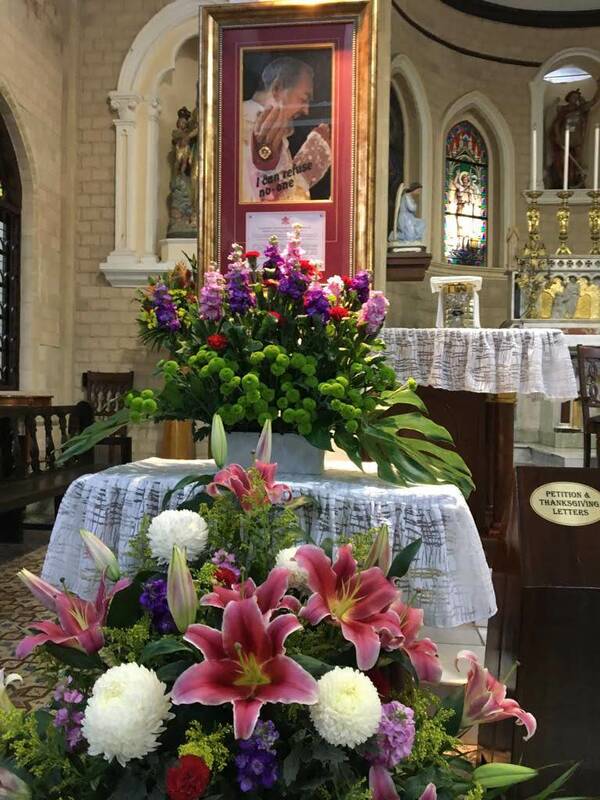 We congratulate him on his appointment as parish priest of St Michael's and pray for God's continued blessings in his ministerial posting to our Parish. 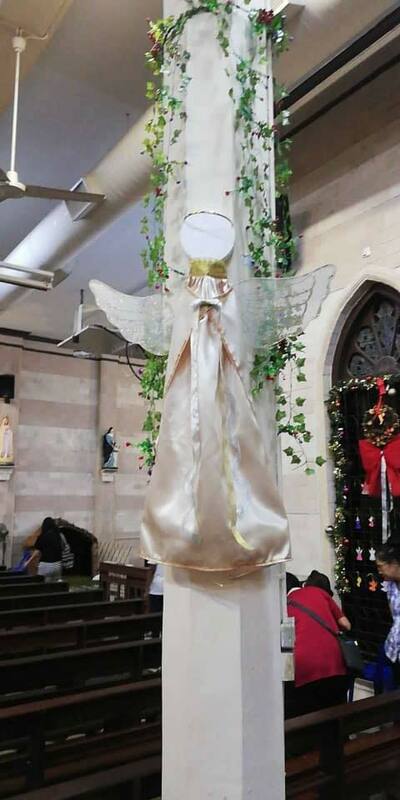 We trust that he will help us to grow stronger in our works of faith and charity. 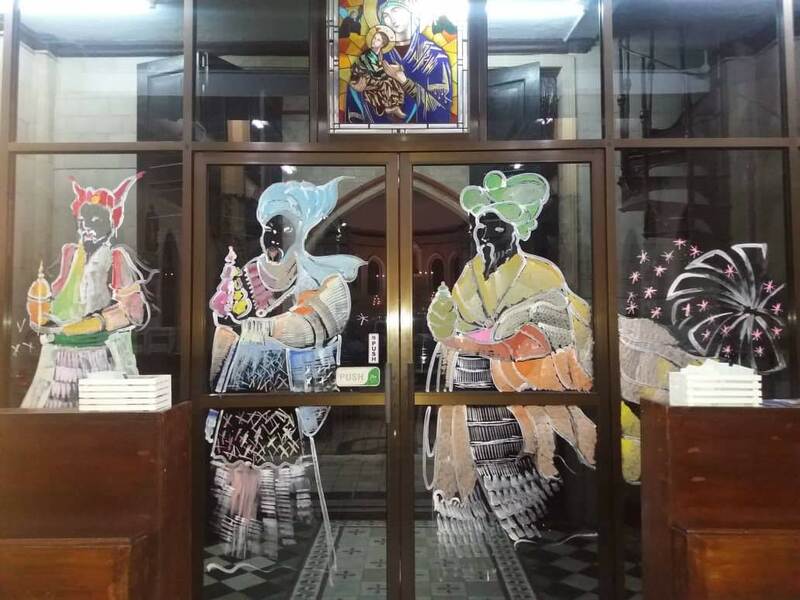 A dinner was held at Unique Seafood restaurant in Bercham, to bid adieu and say "Thank you" to Fr Stephen Liew for his eight years of faithful service and God-inspired leadership. 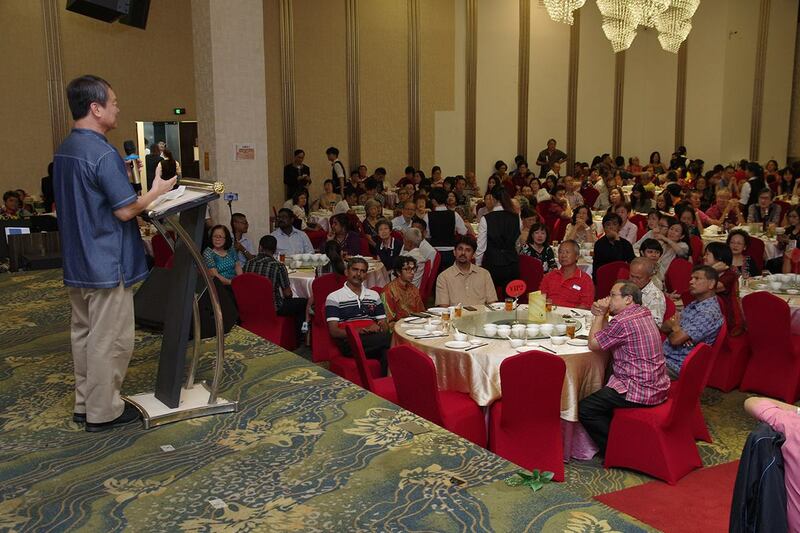 The dinner was attended by many parishioners including the serving members of the parish, fellow priests Fr Robin Andrews and priests from OMPH church, Bishop Emeritus Antony Selvanayagam, Malaysia's Minister for Human Resources and Ipoh Barat MP YB M.Kulasegaran and his team from DAP. 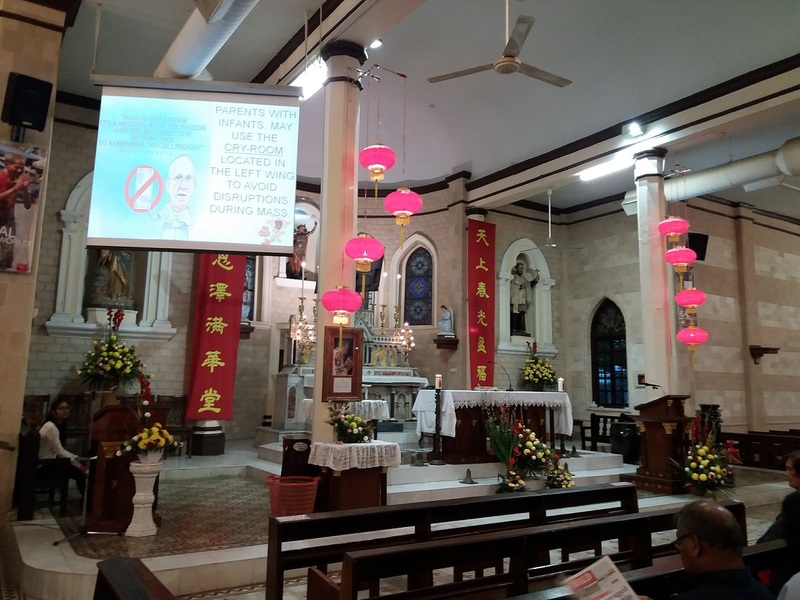 A video tribute to Fr Liew prepared by the youth from the parish's Chinese Apostolate, was played during the dinner and it showcased many of the improvements to church facilities and outreach works such as Sahabat Orang Asli (SOA) and the Soup Kitchen which were initiated by Fr Liew in the eight years of his tenure. 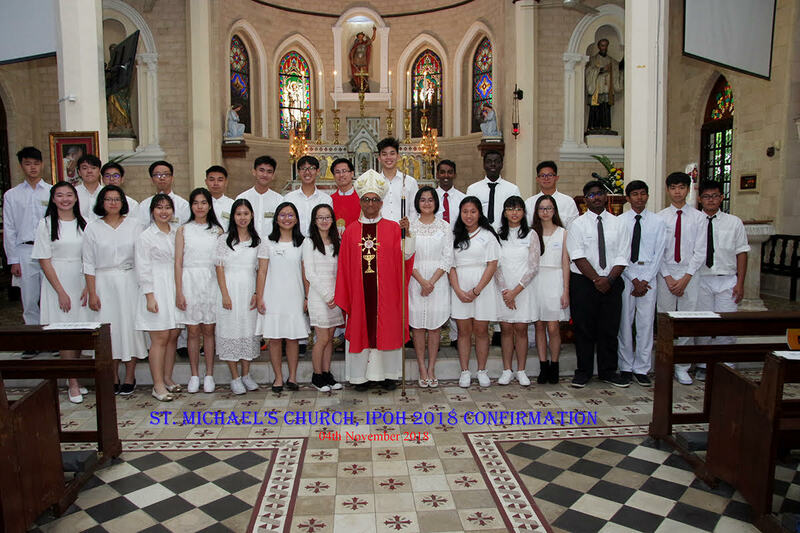 Fr Liew thanked the organisers, guests, parishioners and in particular the staff of St Michael's church for making his time at St Michael's so rewarding and memorable. 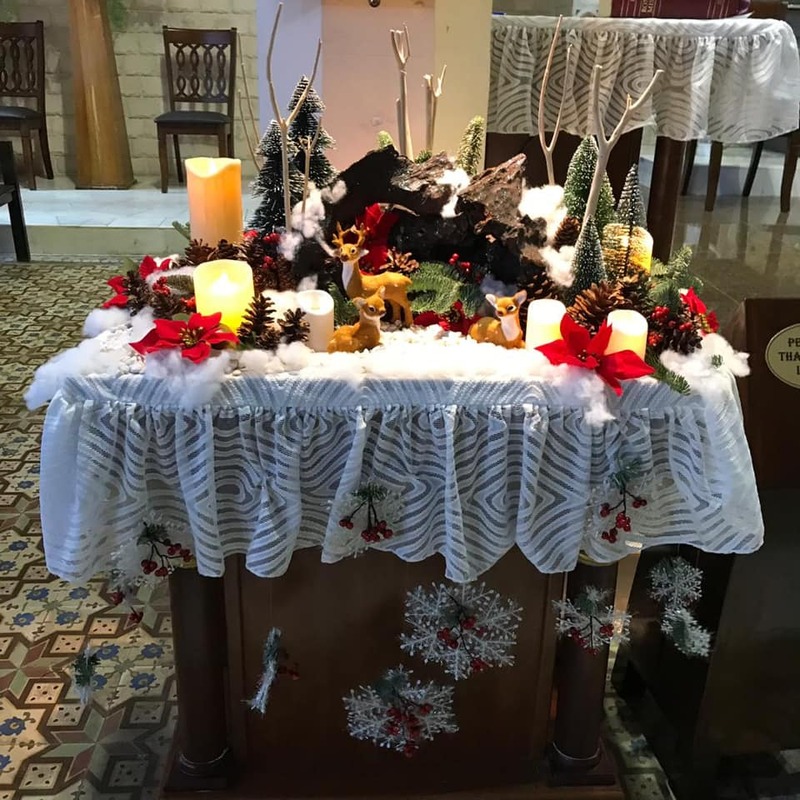 Parishioners were tickled to hear that he had never felt so much love in a parish before! 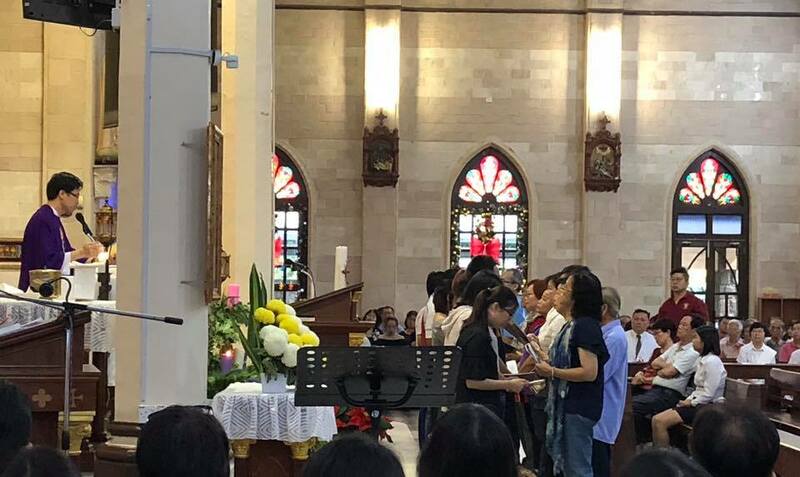 YB Kulasegaran paid a special tribute to Fr Liew and also took the opportunity to thank all parishioners present for actively participating in the election process and helping Pakatan Harapan secure victory in the general election. 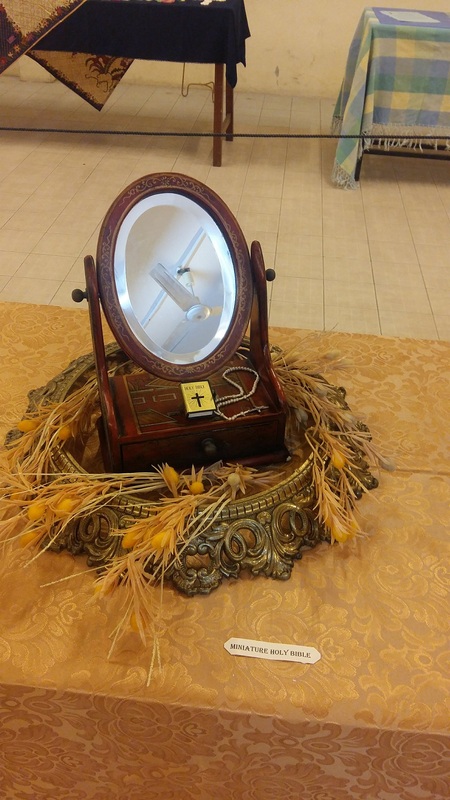 September 23rd, 2018 was a significant milestone for all Padre Pio members as it marked the 50th death anniversary of St Padre Pio and the centenary of his stigmatisation. 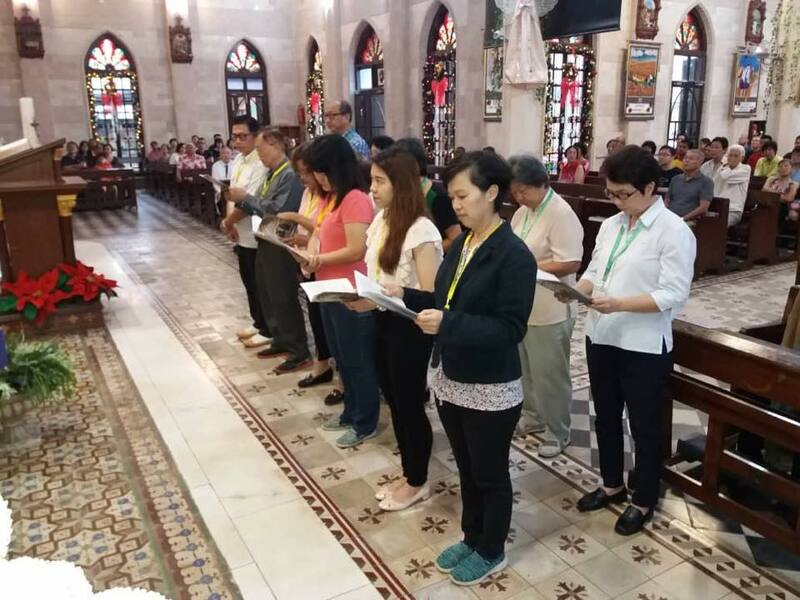 The Novena to Padre Pio was held before the 5.30p.m. 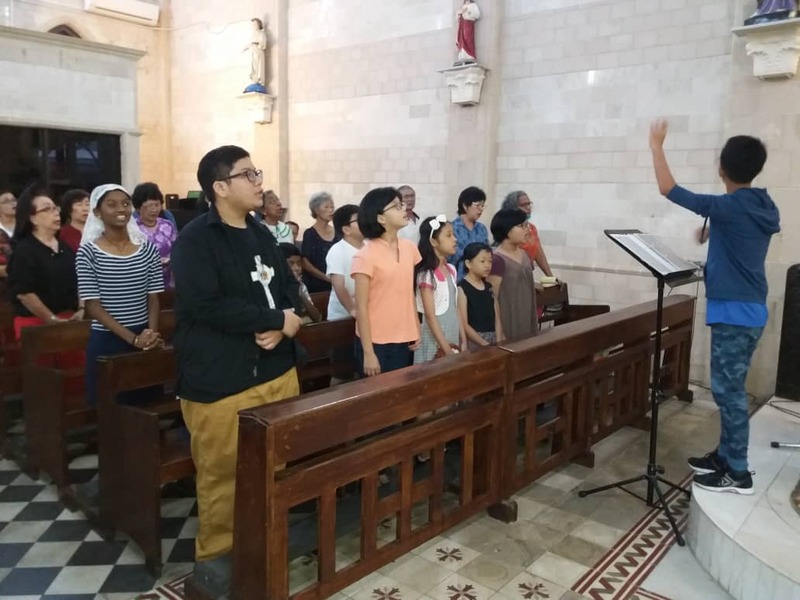 mass and thanksgiving testimonies were read out during the novena. 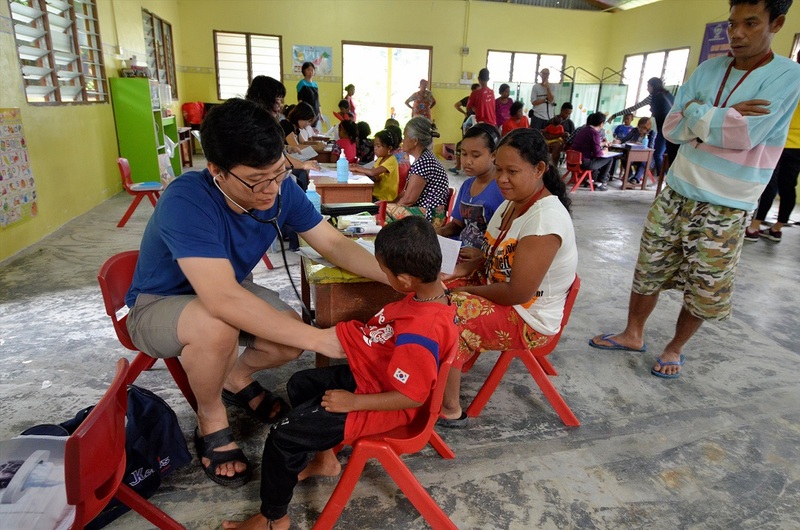 Final medical camp for the year at Kg Sekam, Cameron Highlands. 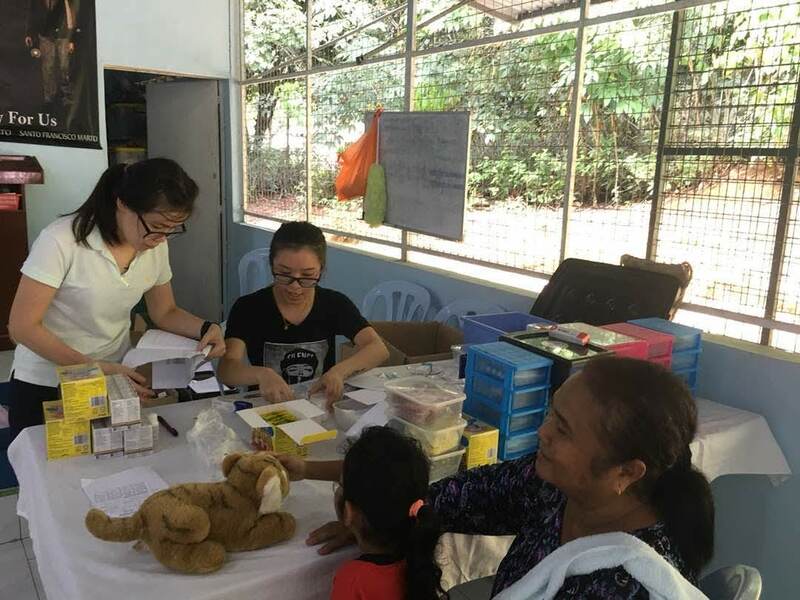 Thank you to all the dedicated volunteers from Hospital Fatimah, HRPB and all other clinics who have supported SOA in their medical camps throughout the year! 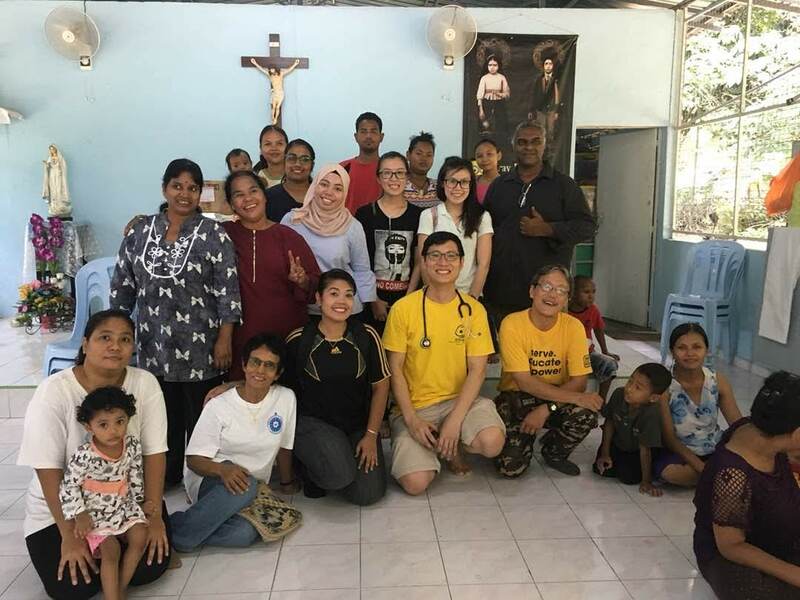 SOA team together with Fr Stephen Liew visited Kampung Balang in Kuala Kangsar on 8th September 2018. 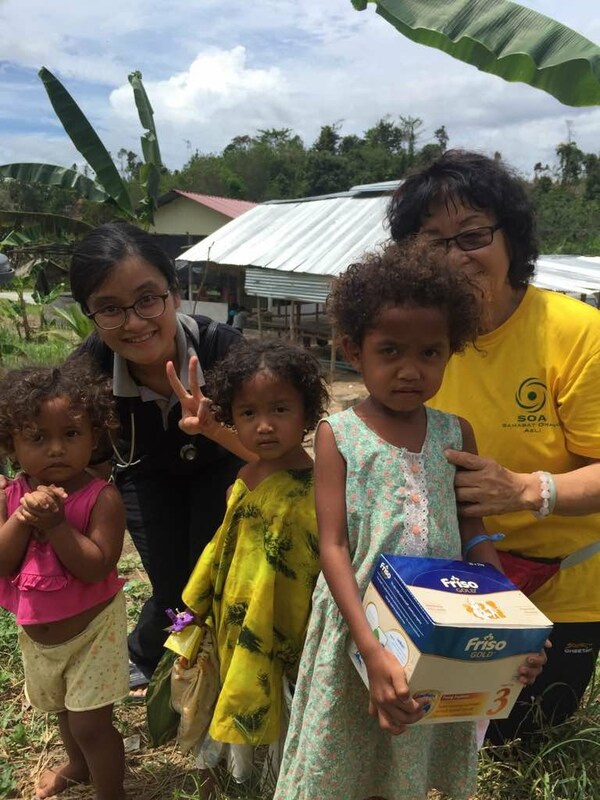 The usual 12 packs of food aid were delivered to the relevant Orang Asli households. 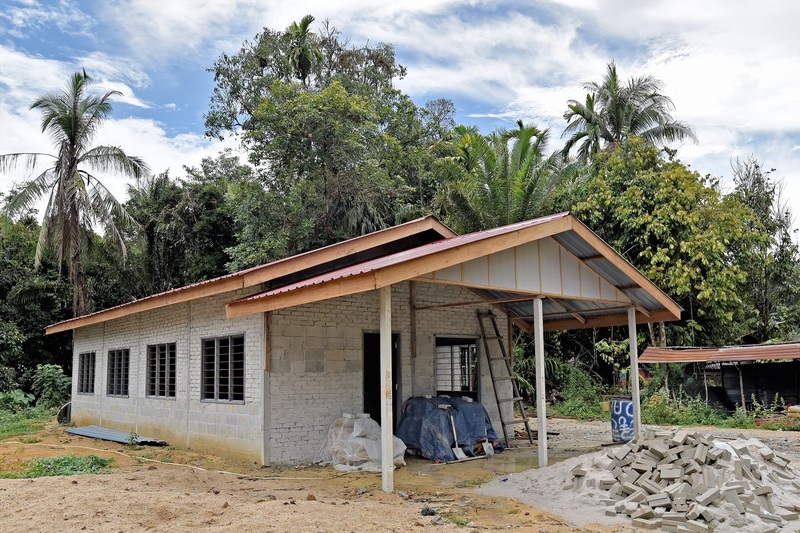 Fr Liew also took the opportunity to view the new chapel being built by the Orang Asli themselves, with financial aid from the Catholic diocese of Penang. 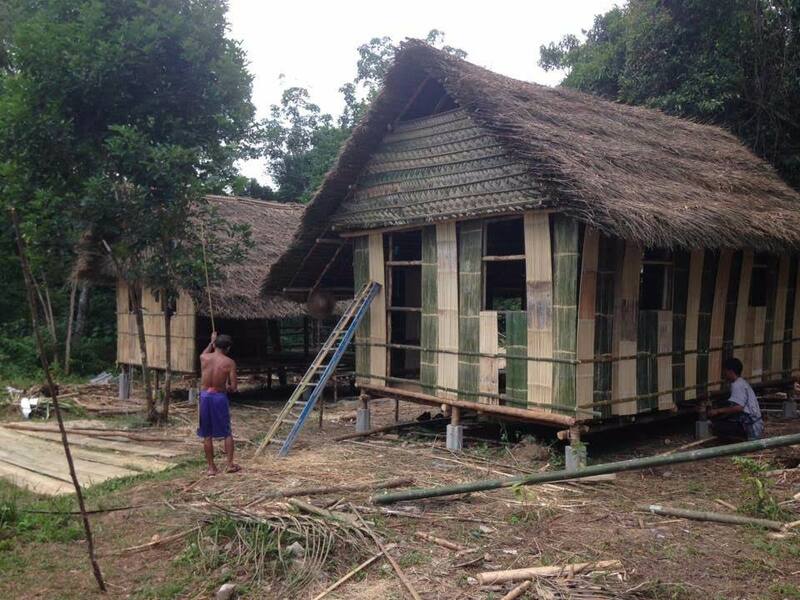 SOA has also contributed some funds towards the furnishings for the chapel. 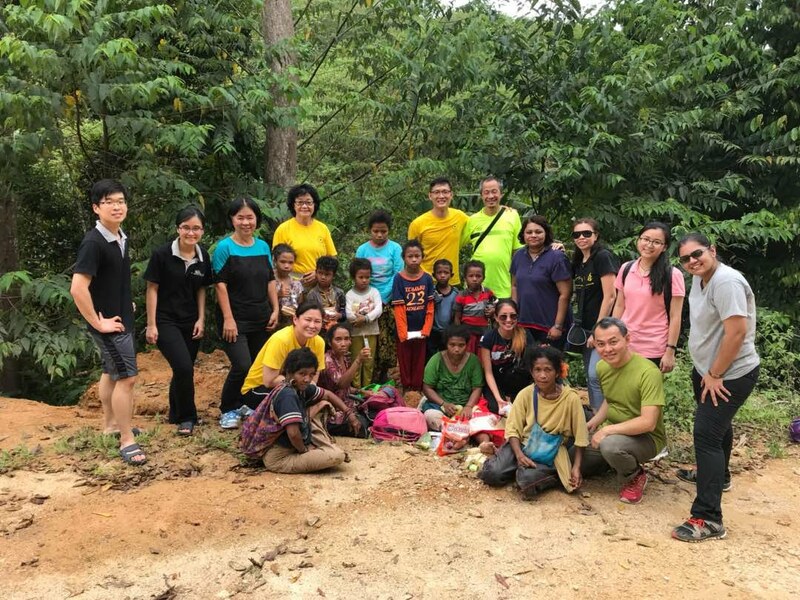 SOA members were met at the kampung by Orang Asli villagers William and his family and also SOA volunteers from St Patrick's church, who prepared delicious tea-time treats for all present. 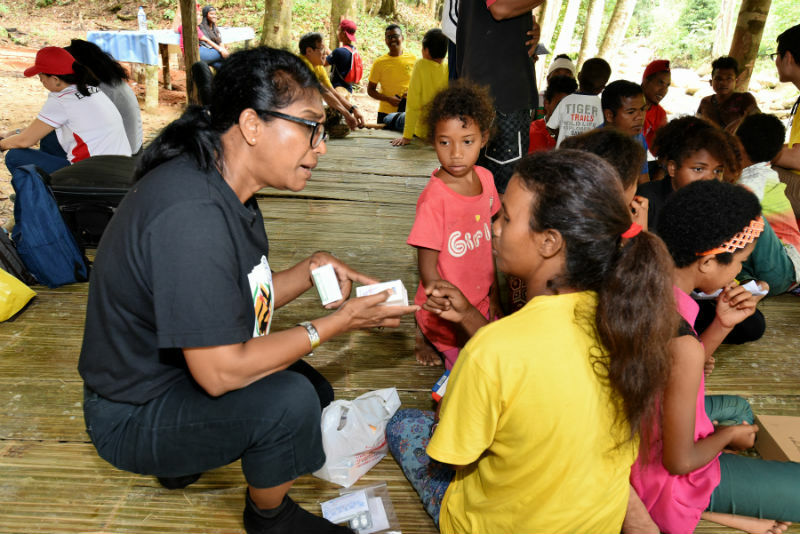 SOA organised and sponsored travelling, food and accomodation expenses to ferry a number of Orang Asli from Tapah, Simpang Pulai and Kampar to Gerik for a native "Merdeka" celebration. 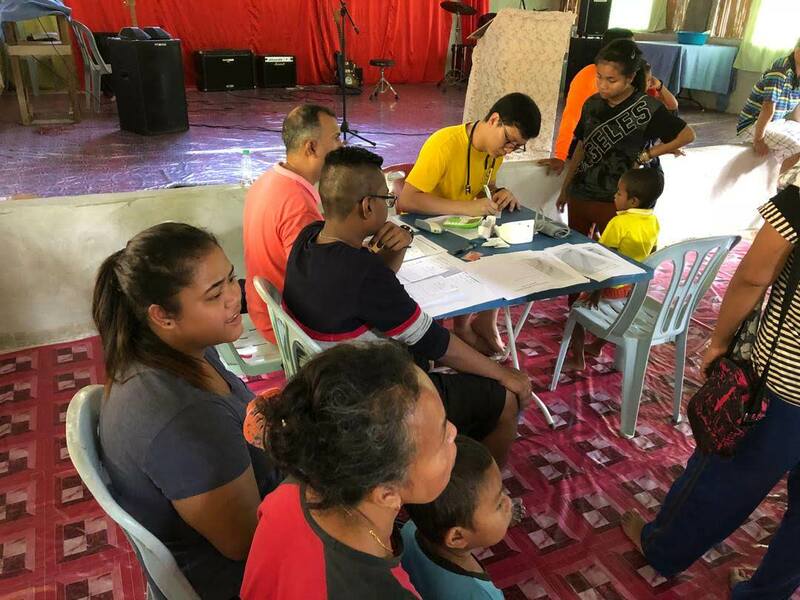 This was an initiative by the new Perak state government and various NGOs including Sahabat Orang Asli of the Perak Deanery Orang Asli Apostolate (Penang diocese), were roped in to help. 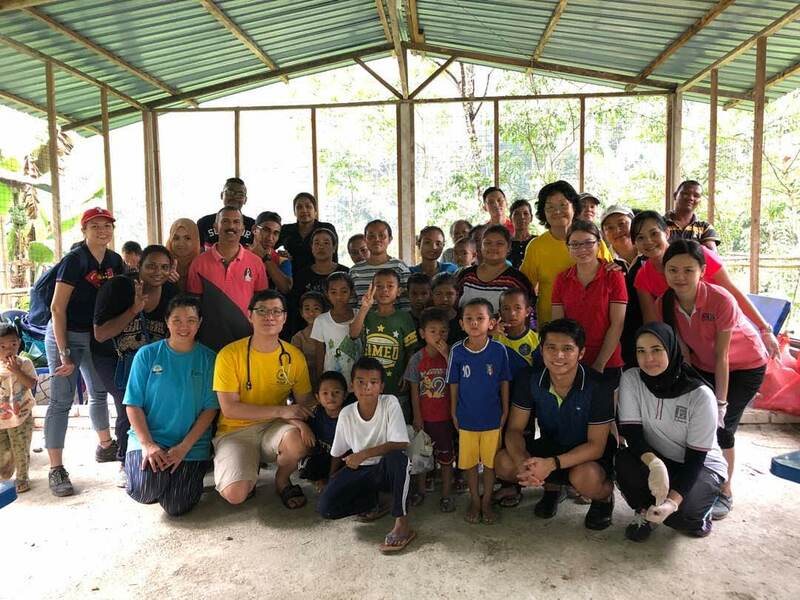 The SOA team and Orang Asli participants especially the ones living in Gerik, were also pleasantly surprised by a visit from our new Perak Menteri Besar, YAB Ahmad Faisal Azumu, who had fellowship and with the Orang Asli villagers in the area. 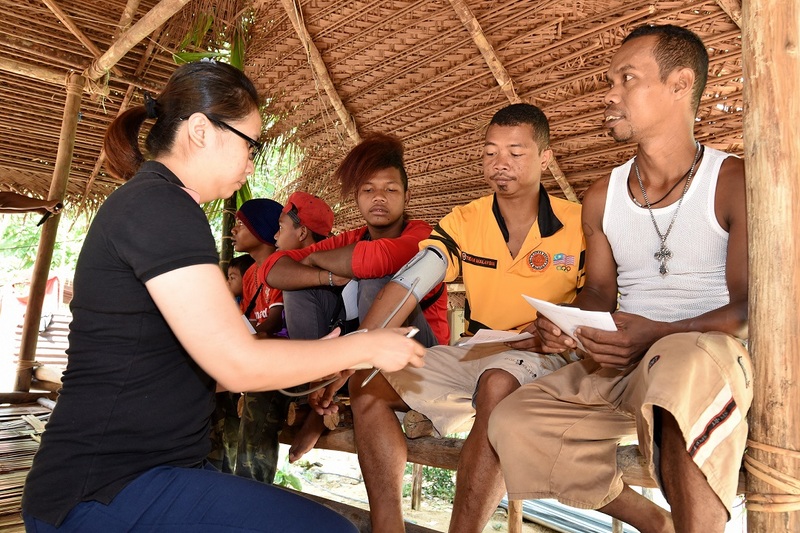 It is hoped that the new administration will work more closely with the Orang Asli to safeguard their interests. 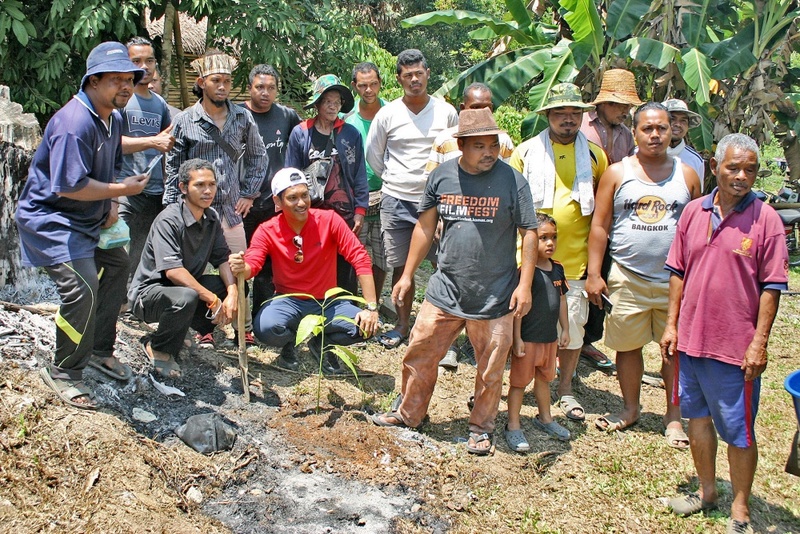 Pic on left: Menteri Besar of Perak, YAB Ahmad Faisal Azumu planting a tree sapling with Orang Asli in Gerik. 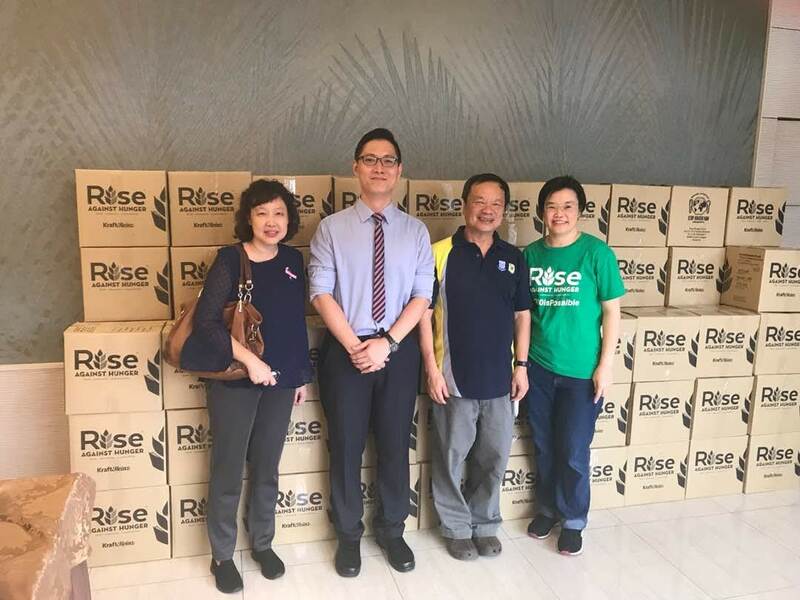 SOA team members Fr Stephen Liew, Dr Albert Yong, Ms Stephanie Yeap and Mr Jude Danny was on hand to accept the donation of 232 boxes of fortified rice formulated by Rise Against Hunger and generously sponsored by Sunway Group. 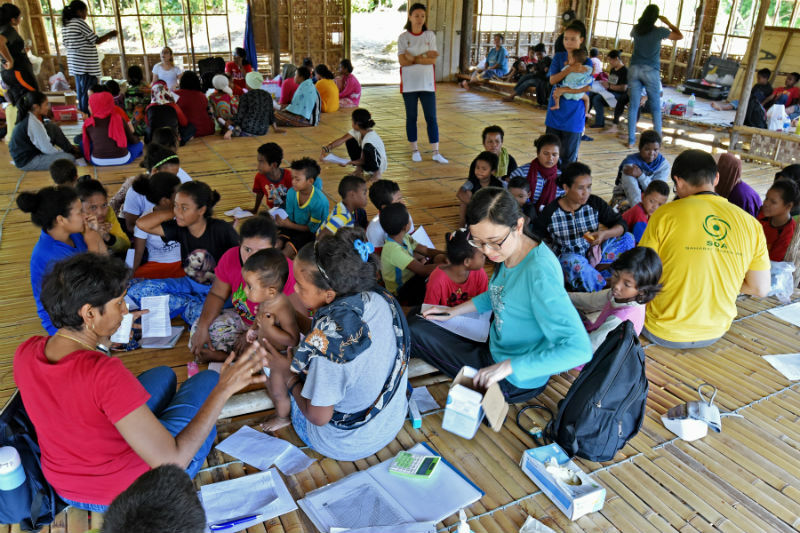 This equates to approximately 50,000 rice meals. 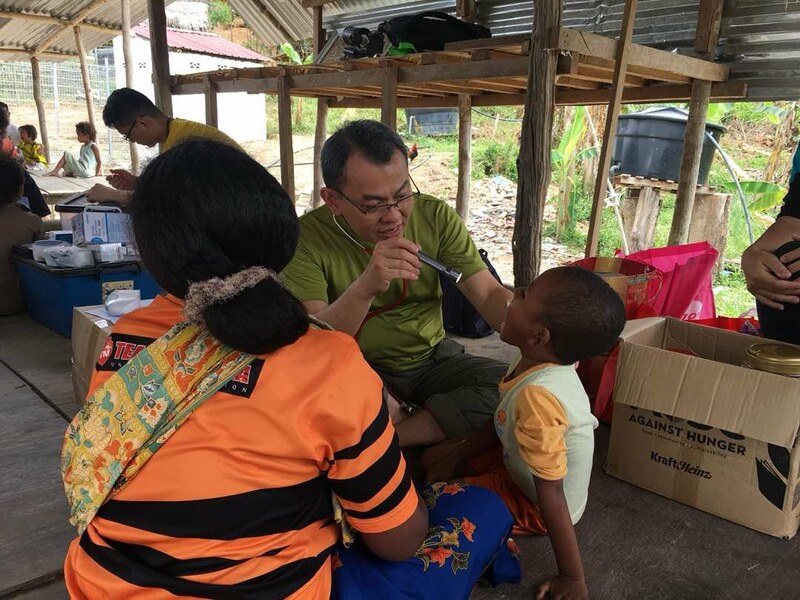 SOA has allocated 100 boxes to Hospital Gerik for their re-feeding programme. 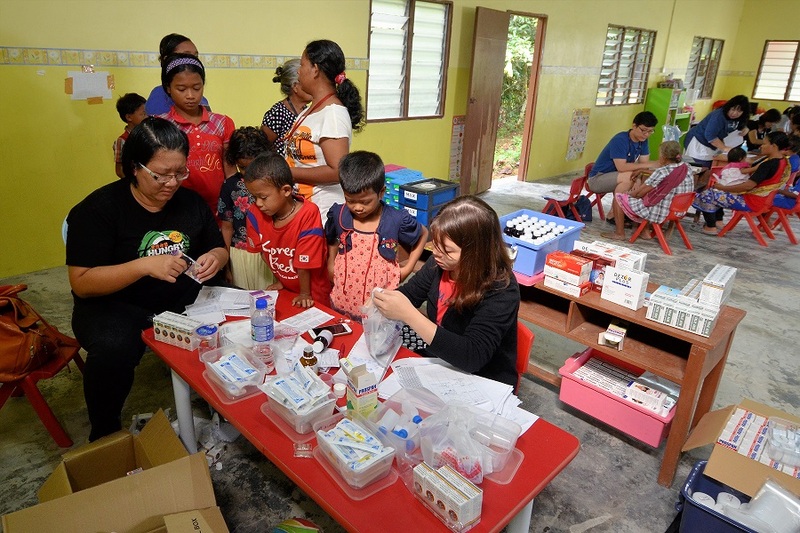 Hospital Gerik staff were also on hand to receive the boxes of rice. 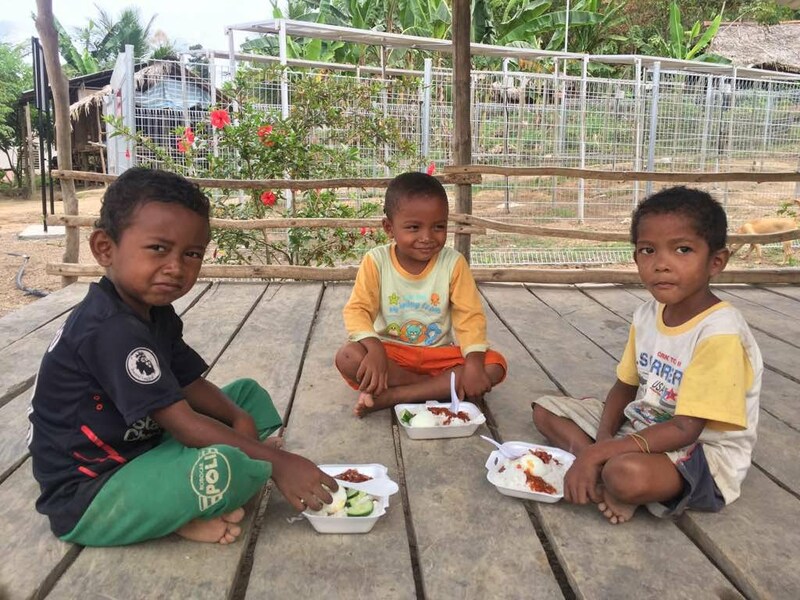 A big "Thank You" to Sunway Group for their generous and constant donation to SOA. 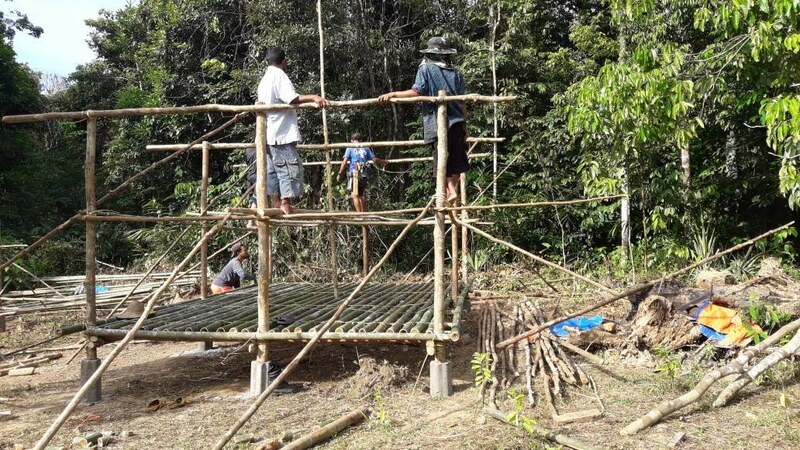 SOA helped the community in Gerik to build and furnish two traditional Orang Asli houses, in the hopes of encouraging eco-tourism as an alternative source of income for the community. 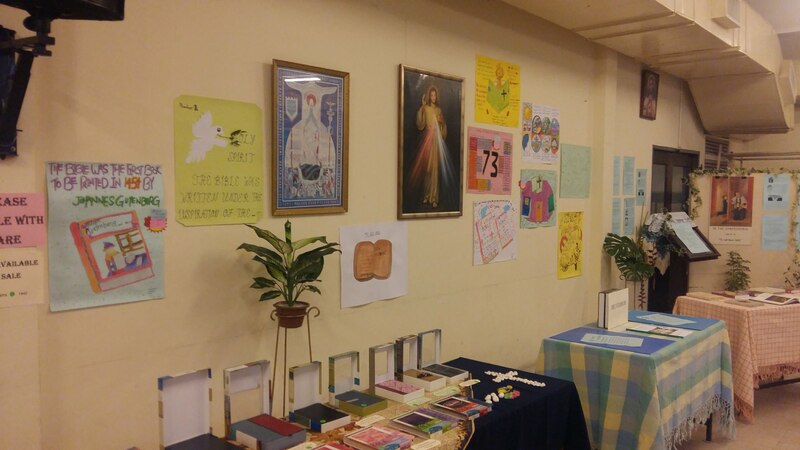 A Bible Exhibition was held in the parish hall of St Michael's church, starting from the evening of 7th July 2018 and ending on 15th July 2018. 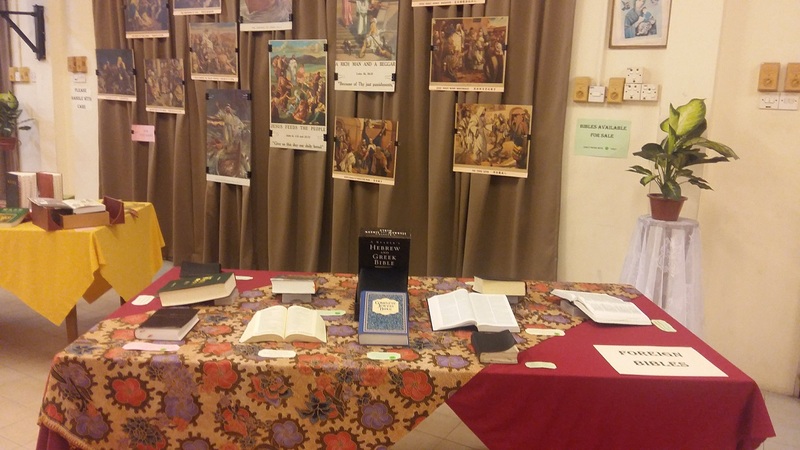 The exhibition was well planned and beautifully laid out with a variety of bibles on display. 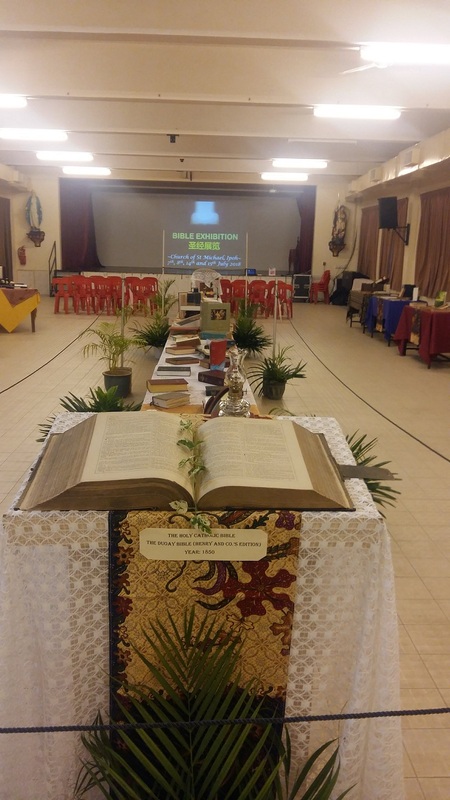 One bible which stood out in particular, was a 168 year-old bible borrowed from Batu Gajah Catholic church. 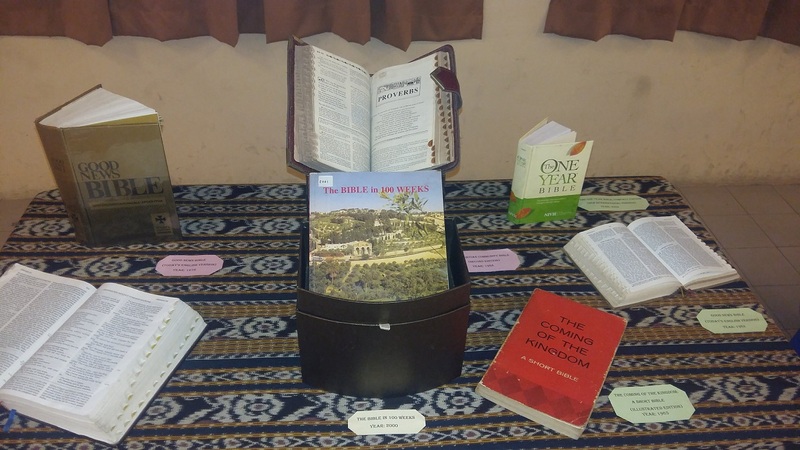 There were also bibles of various sizes and languages displayed. 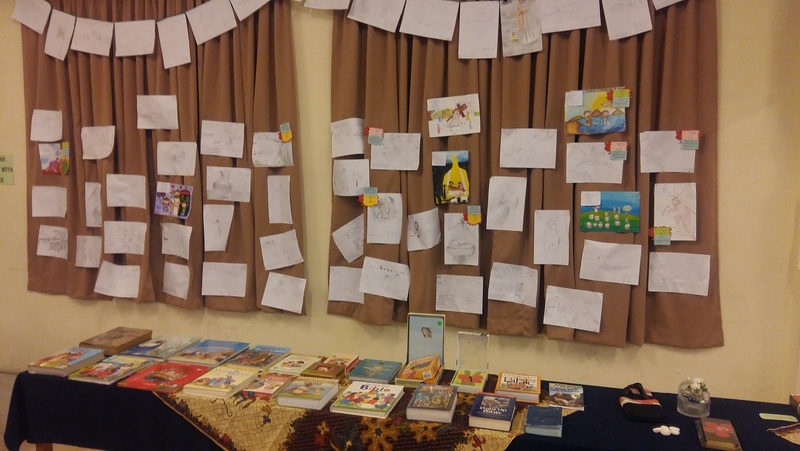 Colourful illustrated bibles for children were exhibited as well. 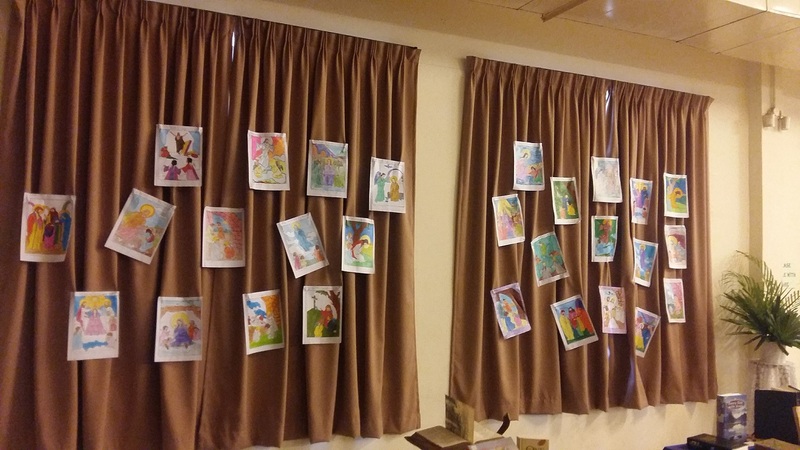 Innovative sketches and colouring done by the Sunday school children were also on full display for all to admire. 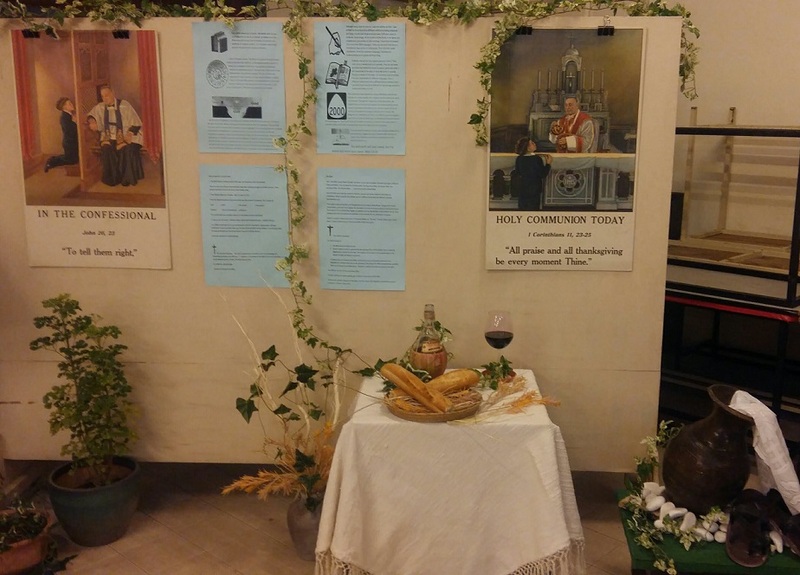 The walls were also adorned with explanations about the differences between Protestant and Catholic bibles and how one could get the most out of reading the bible. 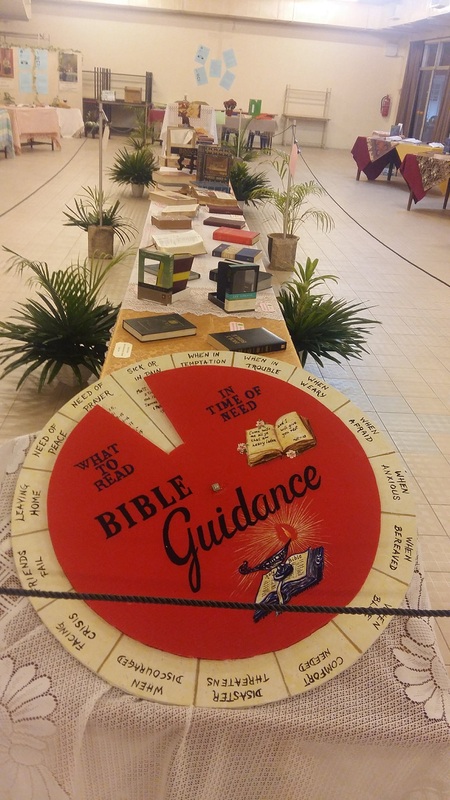 Another interesting thing featured in the exhibition was a Bible Guidance Wheel, which when turned, showed the relevant bible passages one could read for spiritual guidance, depending on the needs of the person. Visitors were also encouraged to take home with them, an informative booklet about reading the Bible upon exiting the exhibition. 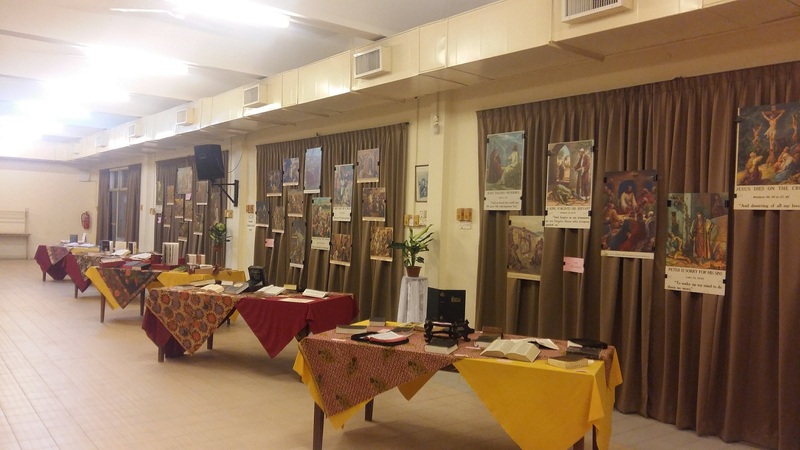 A very big "Thank you" to the Organising Committee and volunteers of the Bible Exhibition. 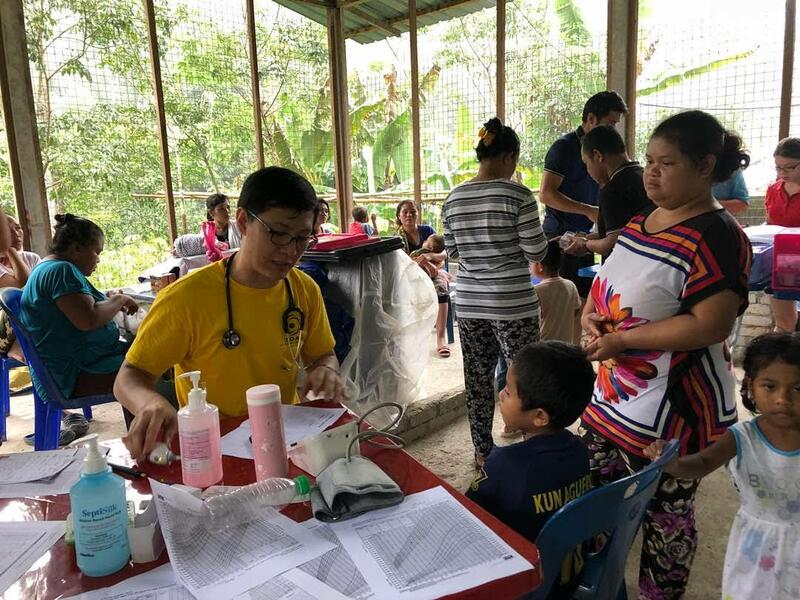 The SOA Medical team and volunteers conducted follow up medical camps at Kg Air Bah Lawin, Kg Sg Karah and Lawin Selatan in Gerik. 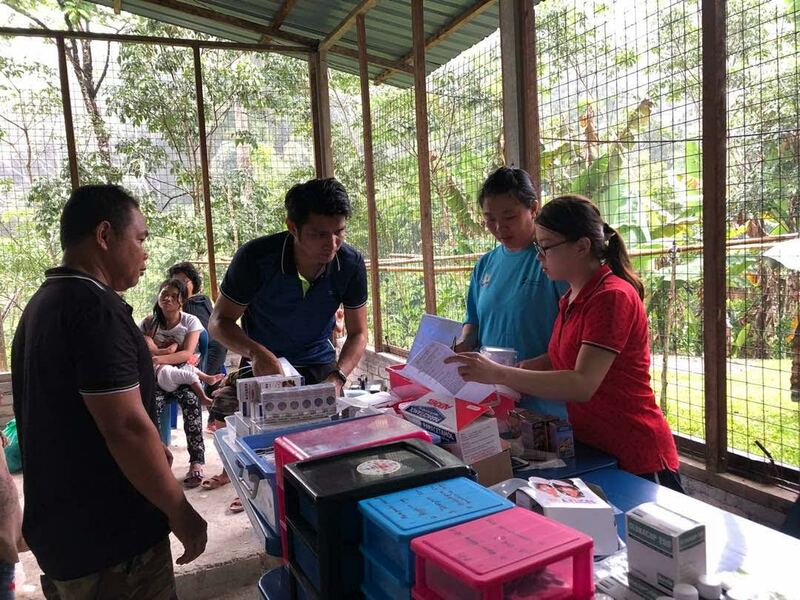 The collection for the weekend masses of 24th June 2018 amounted to RM26,216.00. 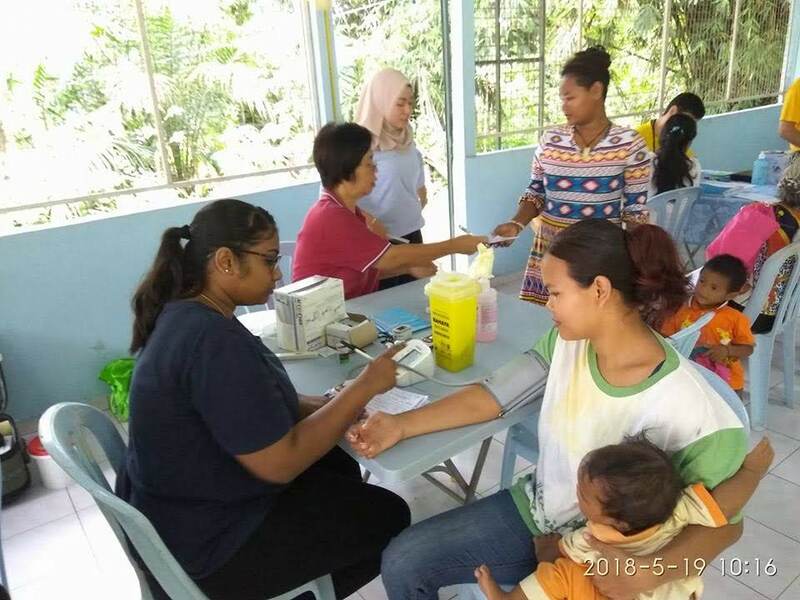 Total collected by the Penang diocese amounted to RM179,616.15. 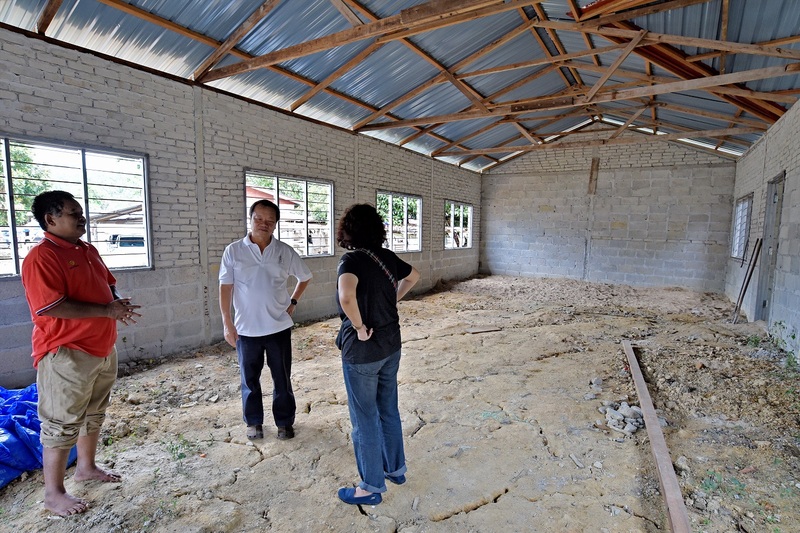 Details of parish contributions can be viewed here. 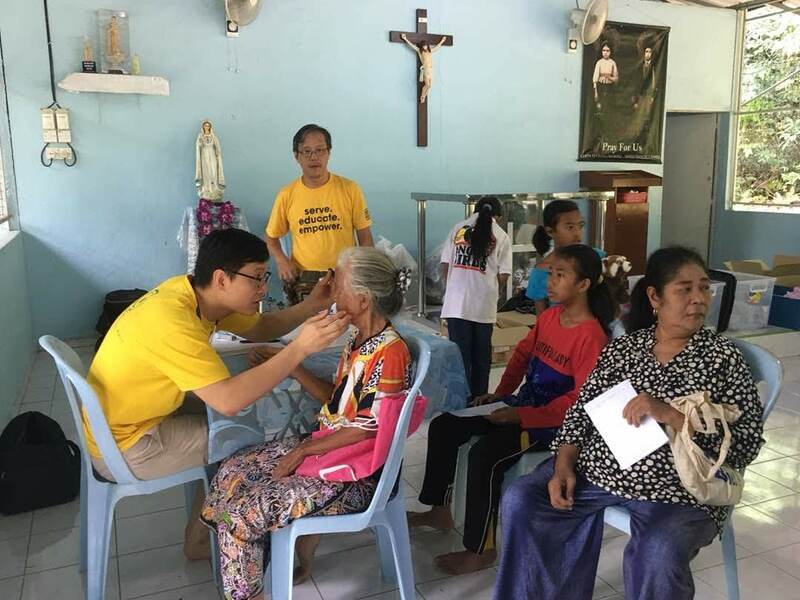 Total amount collected by the Catholic church throughout Malaysia for Tabung Harapan amounted to RM1,143,653.10. 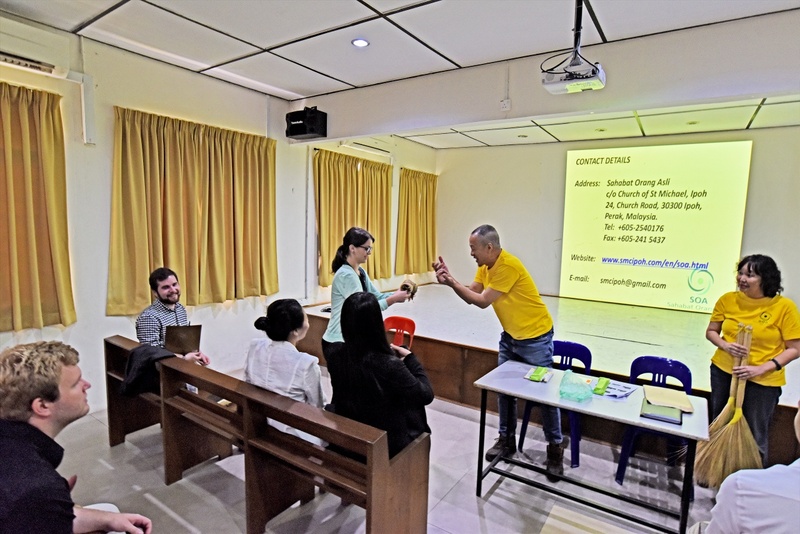 SOA members Stephanie Yeap,Hubert Thong, Bernard Lee and Helen Yeap met with students and professors from LeHigh University, USA and representatives from Rise Against Hunger (RAH) on the morning of Wesak Day. 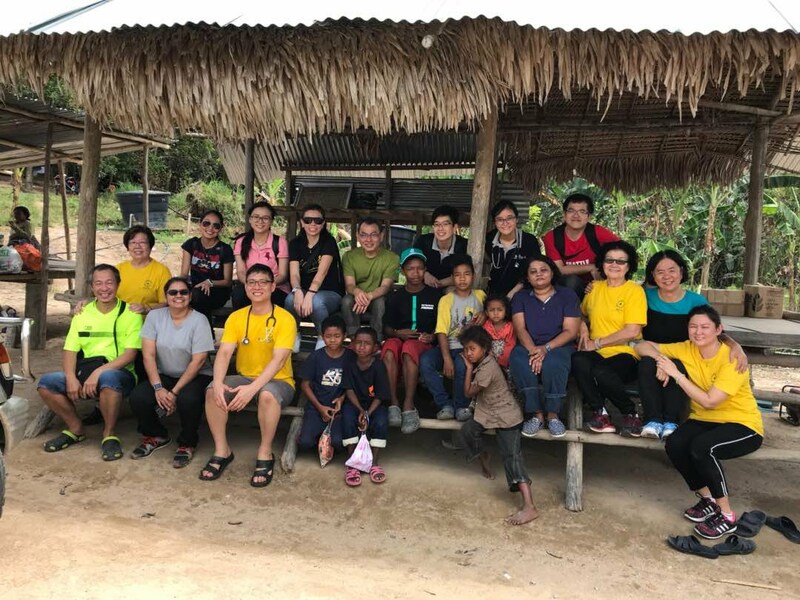 The team from LeHigh, a private research university in the city of Bethlehem,Pennsylvania,USA were on an educational and research tour of Malaysia. 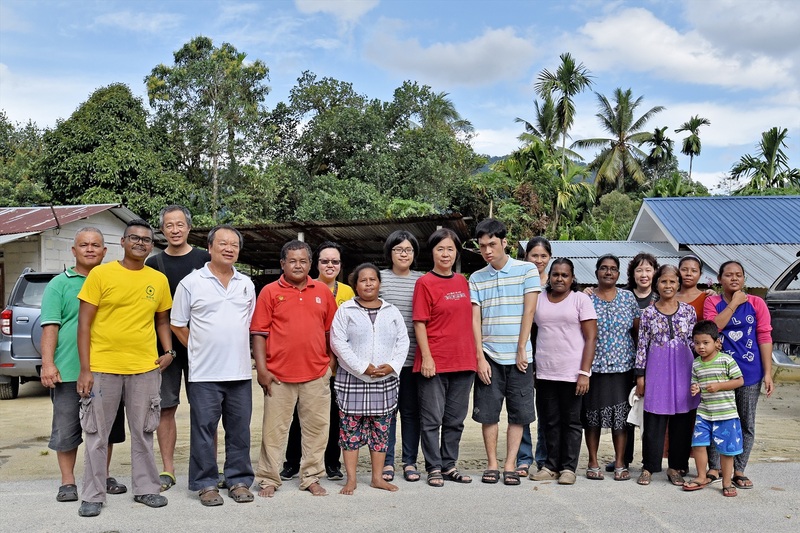 They were briefed about the work done by SOA with the Orang Asli. 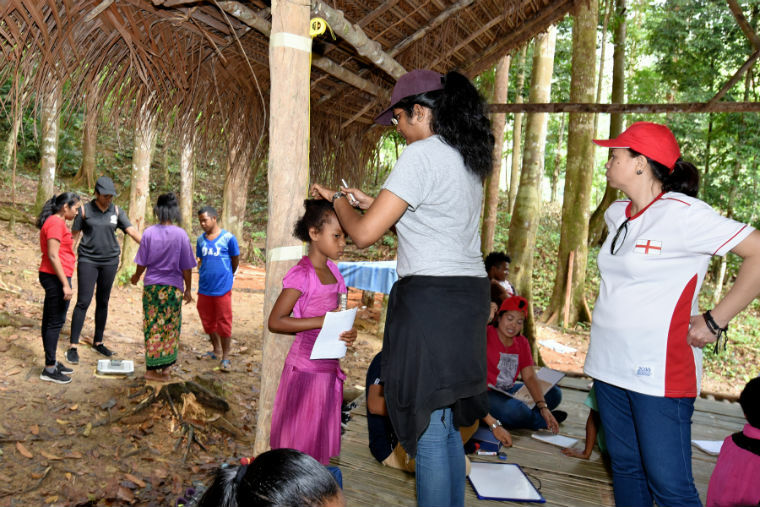 SOA's Stephanie Yeap gave an outline of the laws of Malaysia which pertained to the Orang Asli and Hubert Thong gave the visitors an overview of the works done by SOA. It was an interesting session with both SOA members answering many questions from LeHigh students,their professors, and the representatives from RAH. 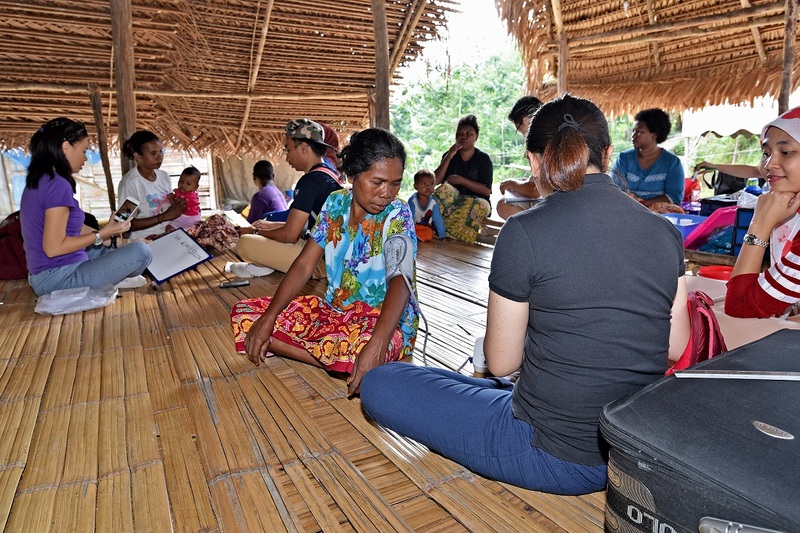 The visitors were particularly interested in the problems faced by the Orang Asli and also challenges faced by SOA. 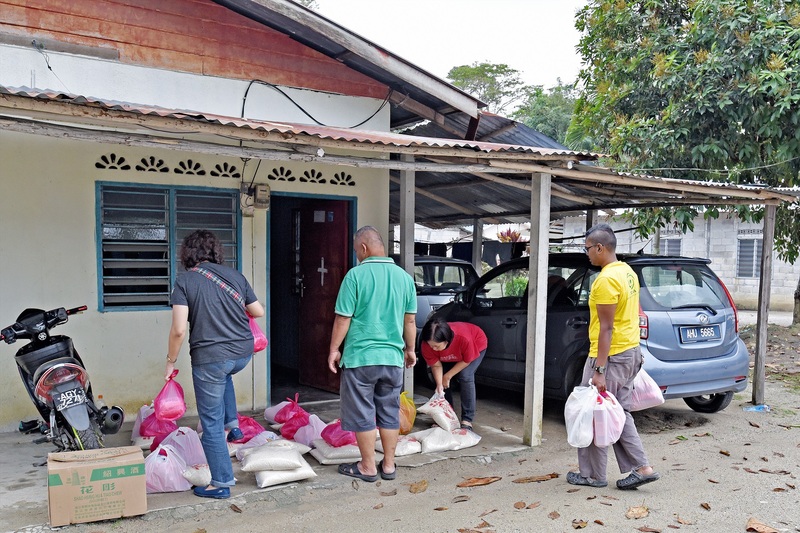 RAH were shown how their fortified rice were transported to villagers in far flung areas of Perak and sometimes even beyond the borders of Perak. 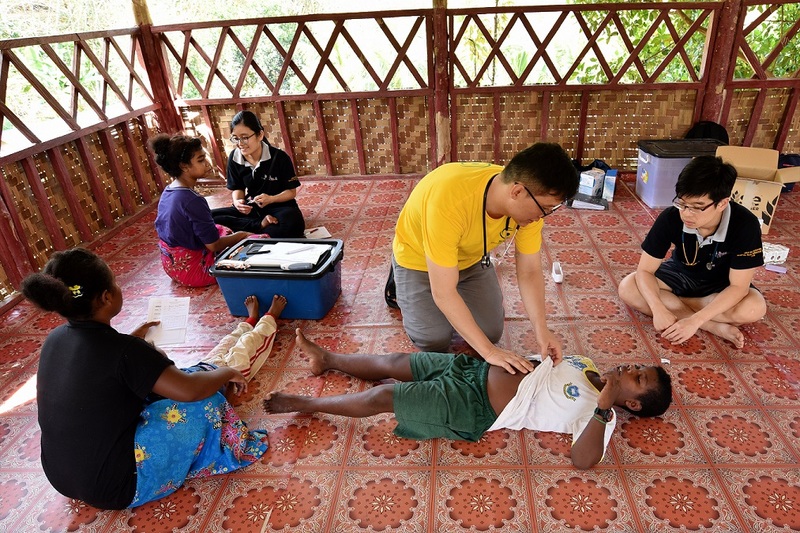 In closing, the visitors presented SOA reps with a few gifts including a generous donation of RM900/= from LeHigh University group for sponsorship of the food packs for Kg Balang and RM400/= from RAH for purchase of OA products. 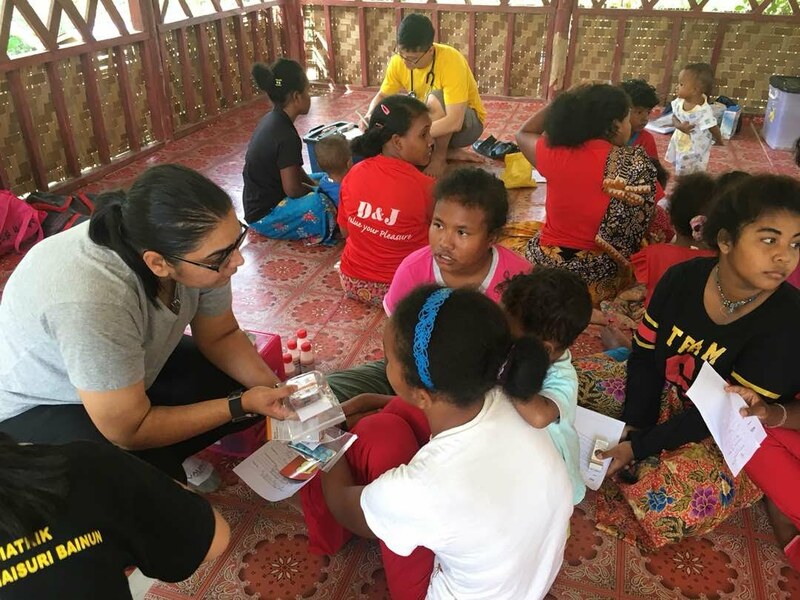 The visitors were then presented with a copy of the SOA presentation and bangles made by the Orang Asli community in Tapah and Gerik. 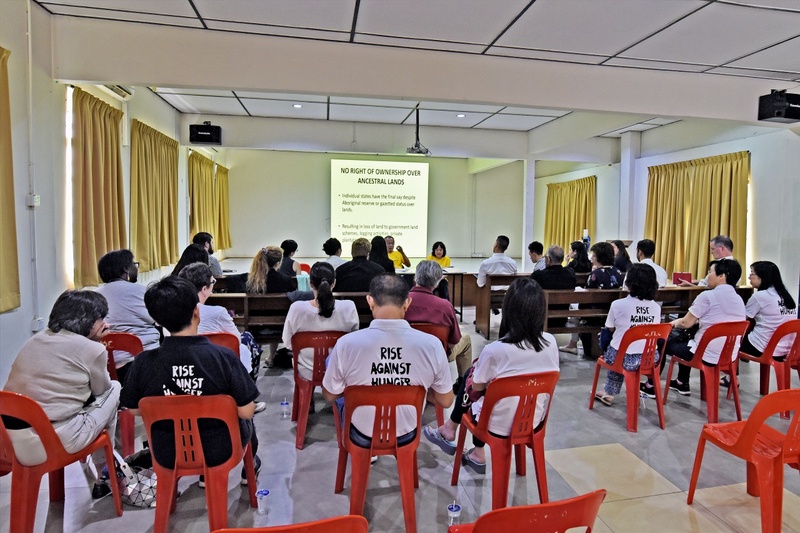 SOA members were invited to attend the Pink Shoes Organisation annual meeting on 21st May 2018. 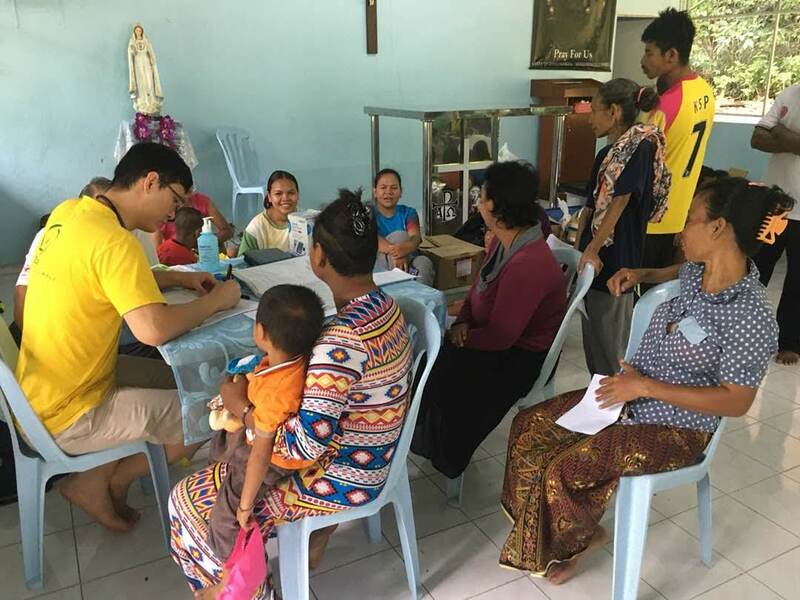 SOA's Hubert Thong gave an update on the works done by SOA for the year 2018. 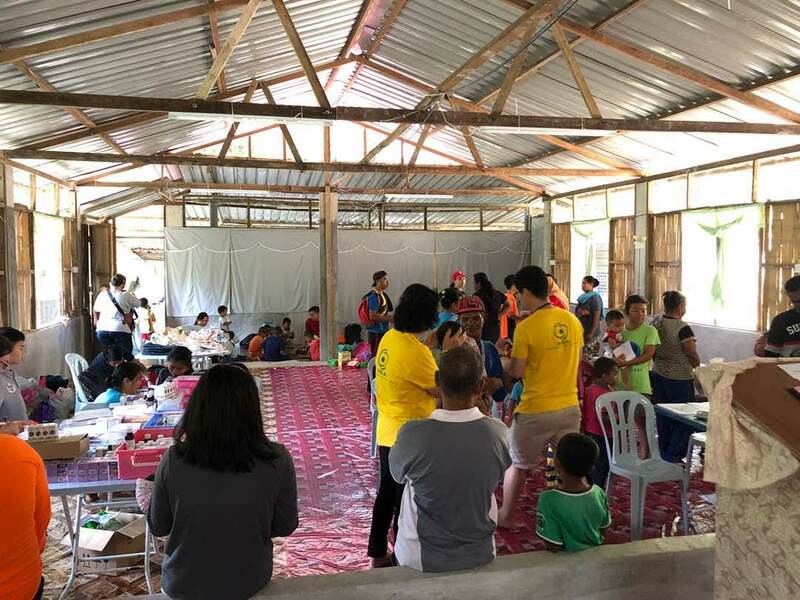 Pink Shoes organisation had already earmarked and spent thousands to complete painting and wiring works on the multi-purpose hall built by SOA for the Orang Asli of Kg Sg Bil in Tanjung Malim. 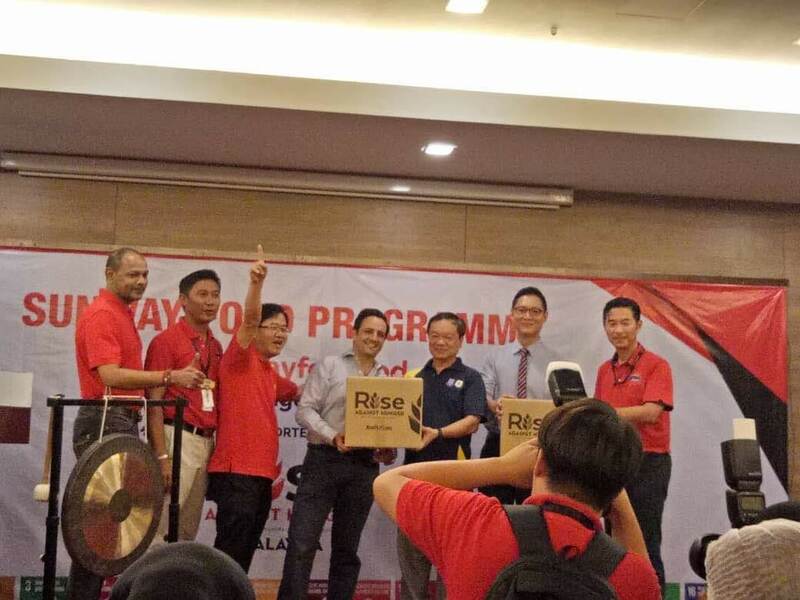 During the meeting, they generously presented SOA with a further donation of RM3,774/=. 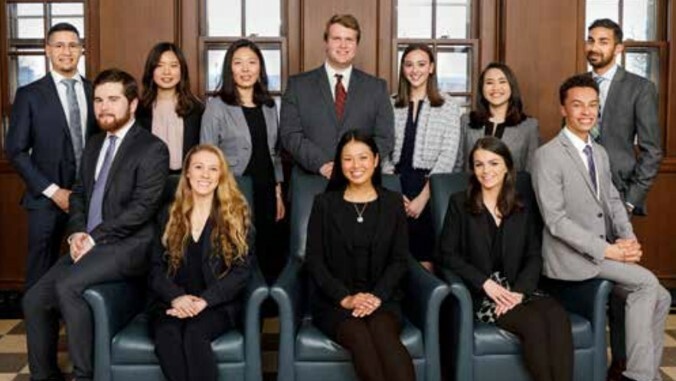 SOA is very grateful for their constant support and encouragement. 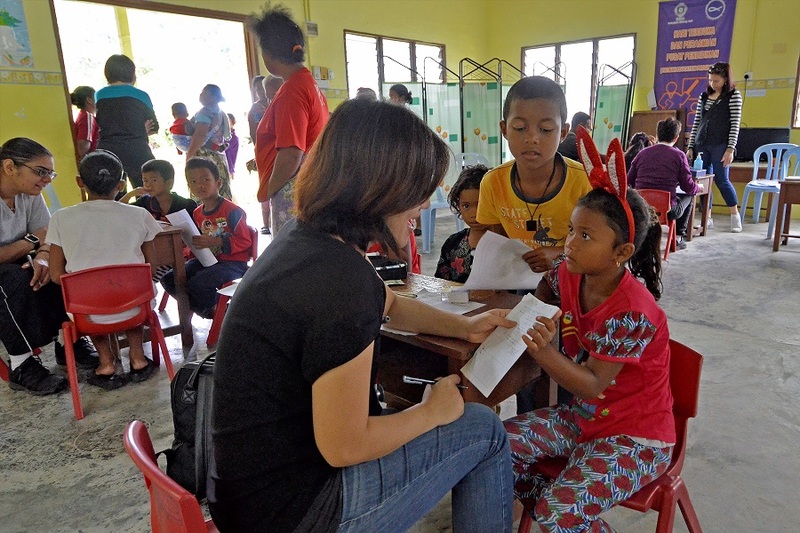 "Thank you and Terima Kasih" to the Pink Shoes organisation. The PHDC would like to thank all parishioners and friends who have generously contributed to the Lenten Campaign. 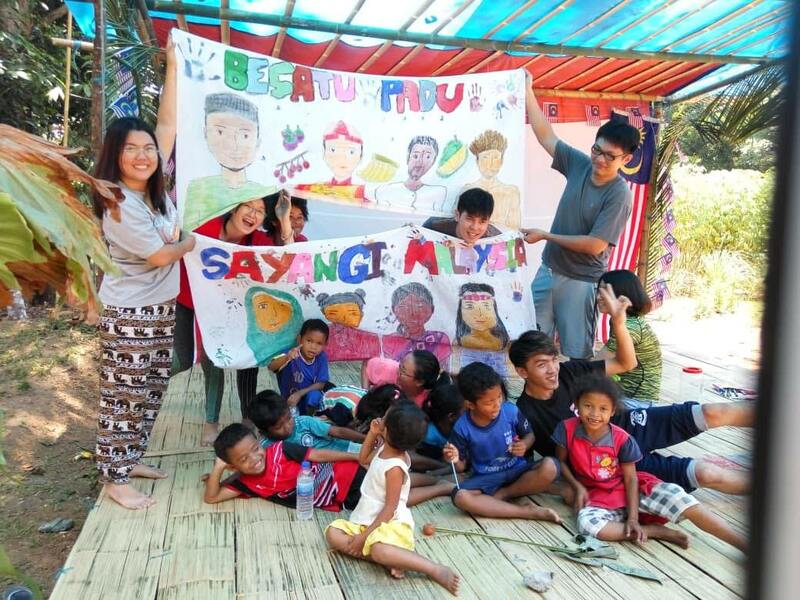 The amount collected was RM61,800. God bless you all. 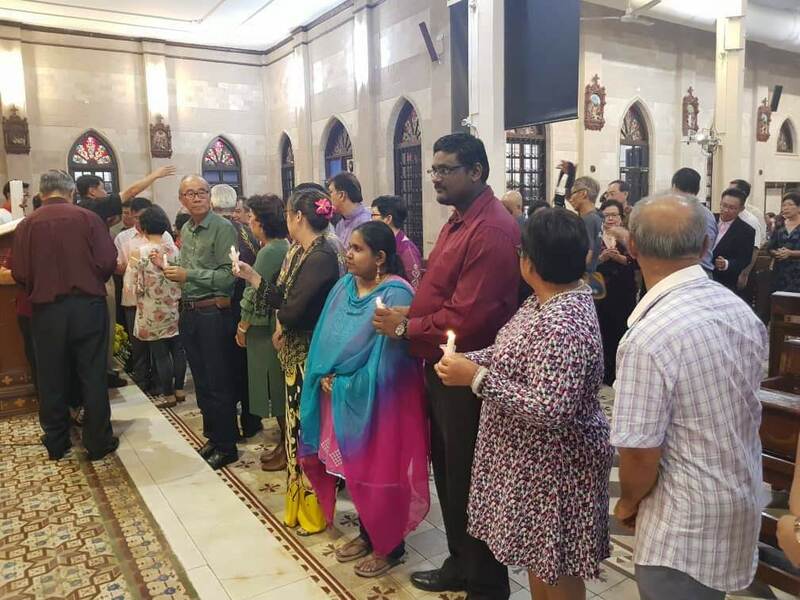 SMC Easter vigil mass on 31st March 2018 was celebrated with much pomp and joy, as the parish played host to two visiting priests, Fr Jan Choong and Fr Dario. 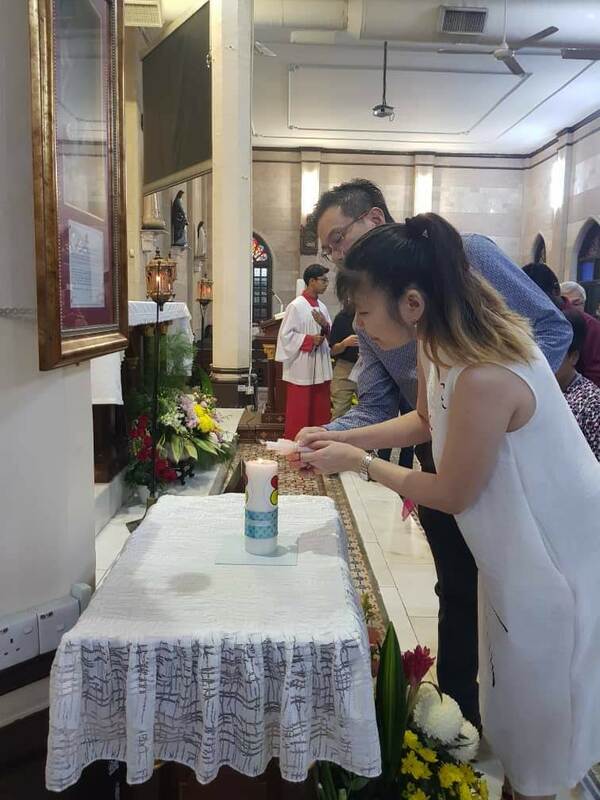 Fr Jan Choong had been given the honour of baptising four members of his own family,i.e. his father, his sister and two nieces. 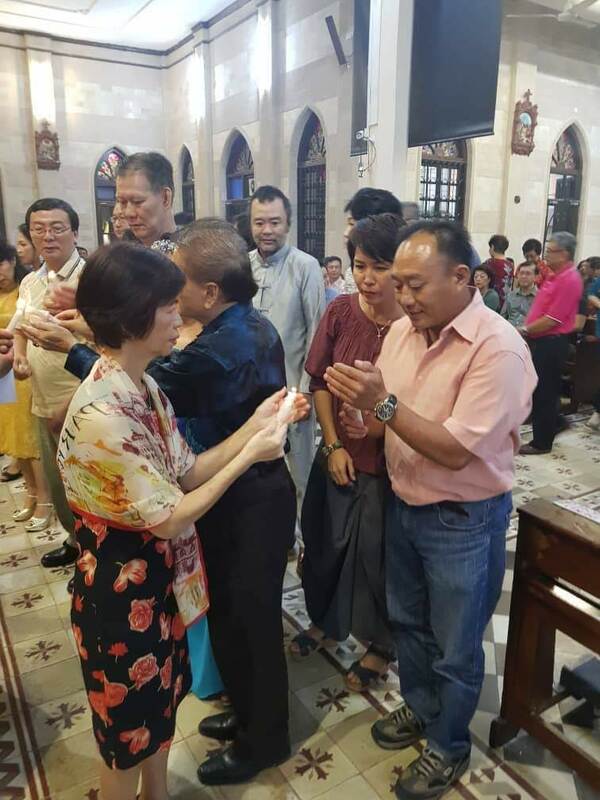 Parish priest Fr Stephen Liew concelebrated the mass with Fr Jan and Fr Dario. 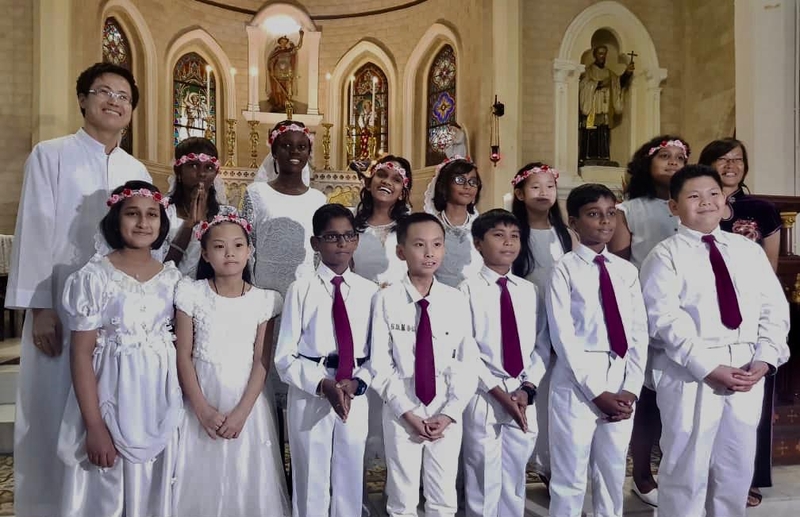 The celebration was conducted in English, Mandarin and Latin and suitably enhanced by the powerful singing of Fr Jan and the two choirs on duty. 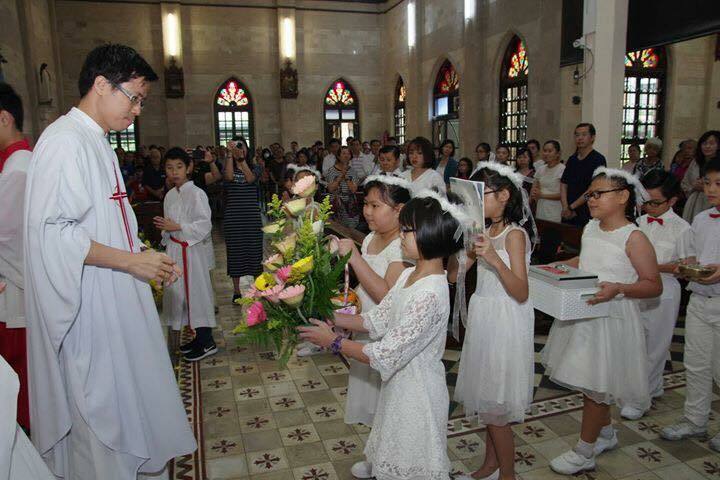 The baptised were presented with paper blessings from Pope Francis at the end of the mass. 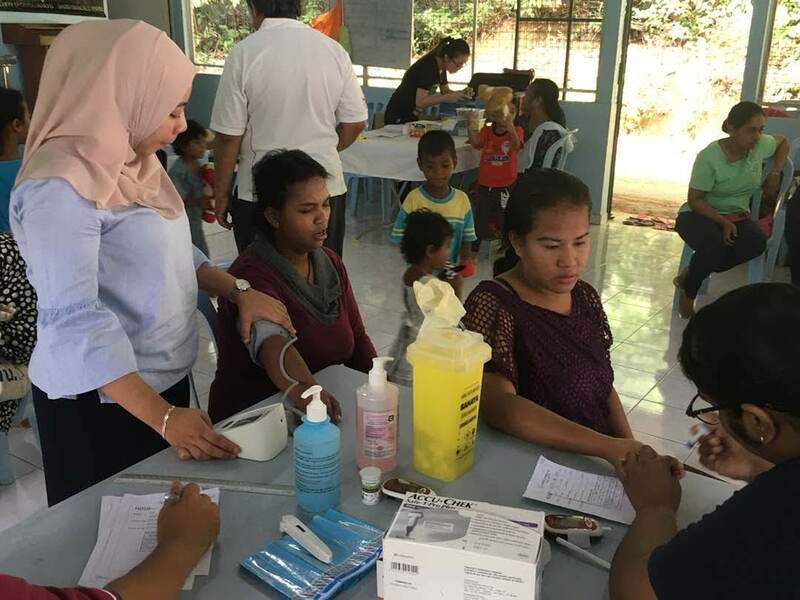 SOA medical team together with volunteers from Fatimah Hospital,Ipoh and Hospital Raja Permaisuri Tuanku Bainun (HRPB),Ipoh conducted a medical camp at Kg Sekam,Cameron highlands on the morning of 24th March 2018. 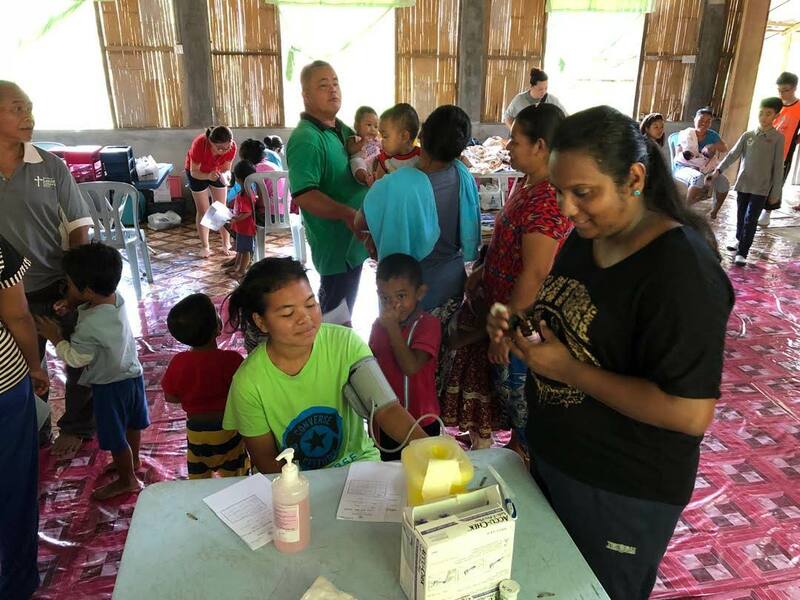 SOA members together with two members of SSVP Kuala Kangsar, delivered food packs to twelve orang asli families in Kg Balang, Ulu Bekor,Kuala Kangsar. 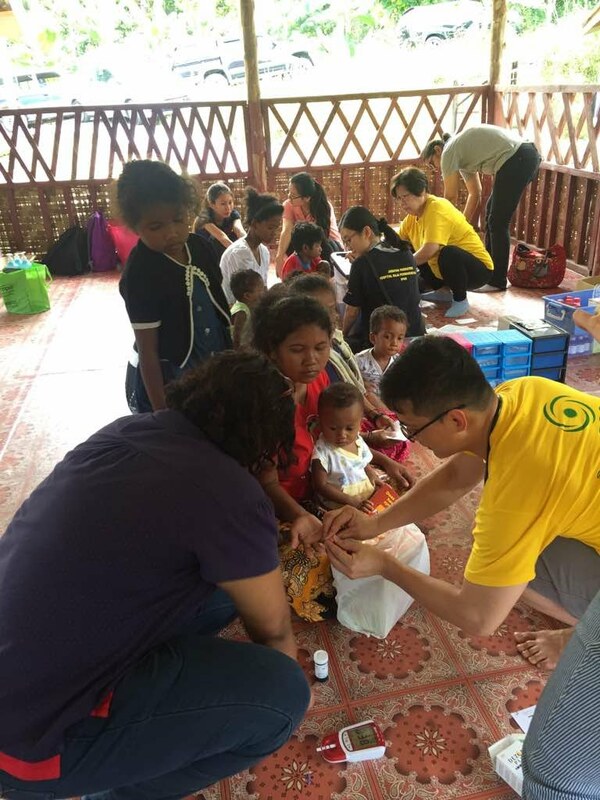 A group of SOA members met up with SOLS24/7, a non-governmental organisation committed to serve and educate impoverished communities throughout Malaysia. 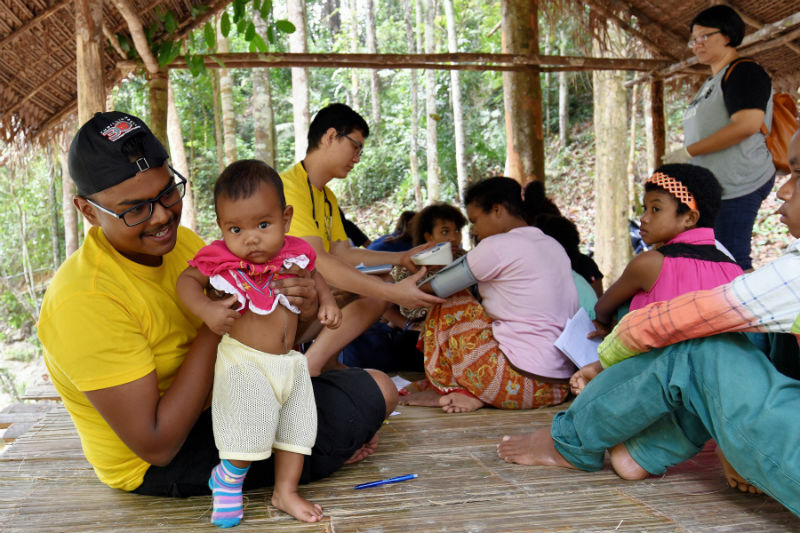 The meeting was set up to plan for how SOA and SOLS24/7 could work together to assist the orang asli in the area of education,particularly for those living in the remote parts of Gerik. 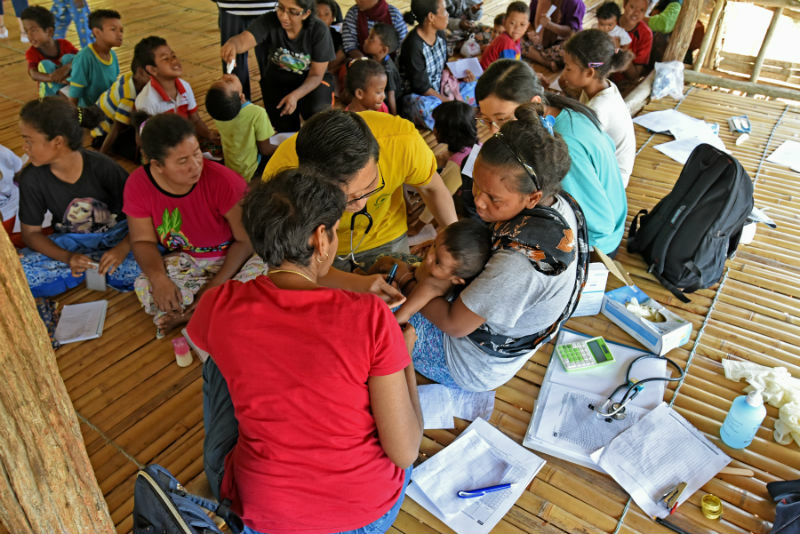 SOA's team together with dedicated volunteers including doctors and nurses from Hospital Fatimah, Ipoh and HRPB Ipoh travelled to orang asli villages in Gerik on the morning of 24th Feb 2018. 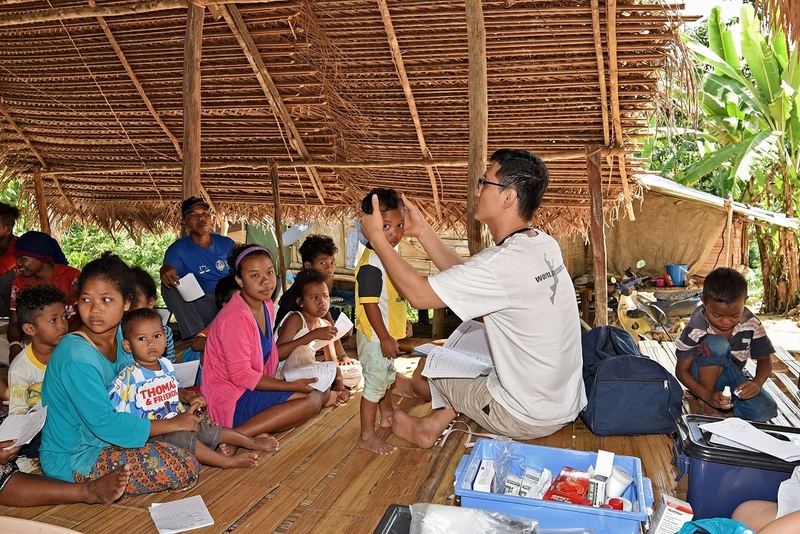 This was a follow up medical camp for villagers in Kg Lubuk Chupak and Kg Sg Karah. 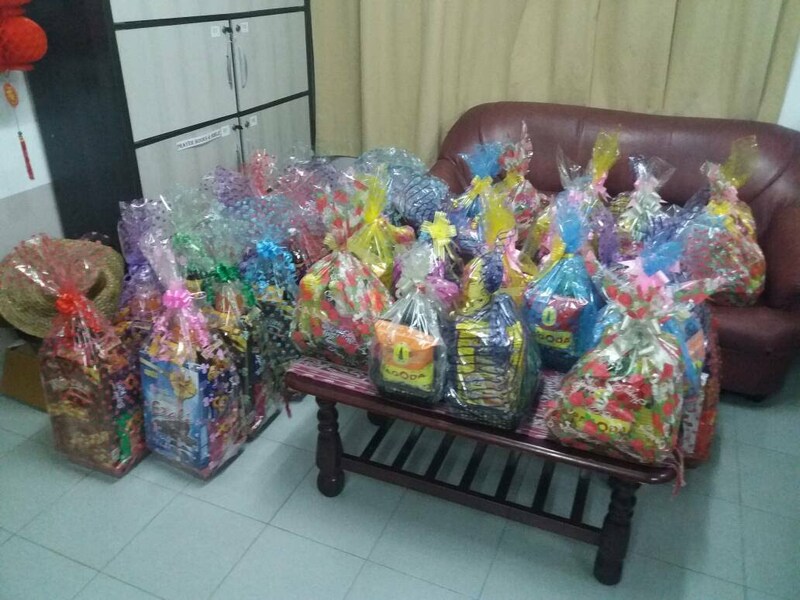 SOA sponsored 20 hampers for the orang asli community in Kg Batu Berangkai, Kampar in conjuction with their Harvest Festival. 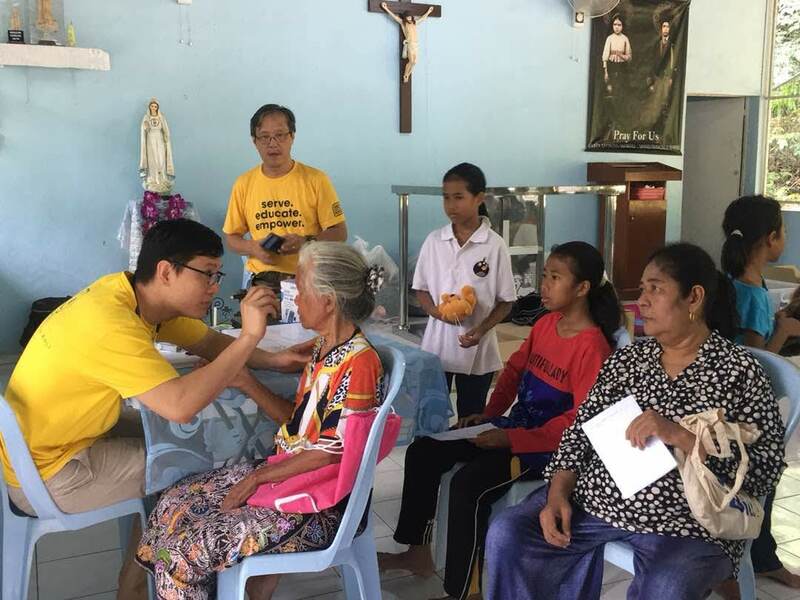 Four SOA members including Fr Stephen Liew, attended the special mass held at Church of the Sacred Heart,Kampar to give thanks for the orang asli's harvest festival. 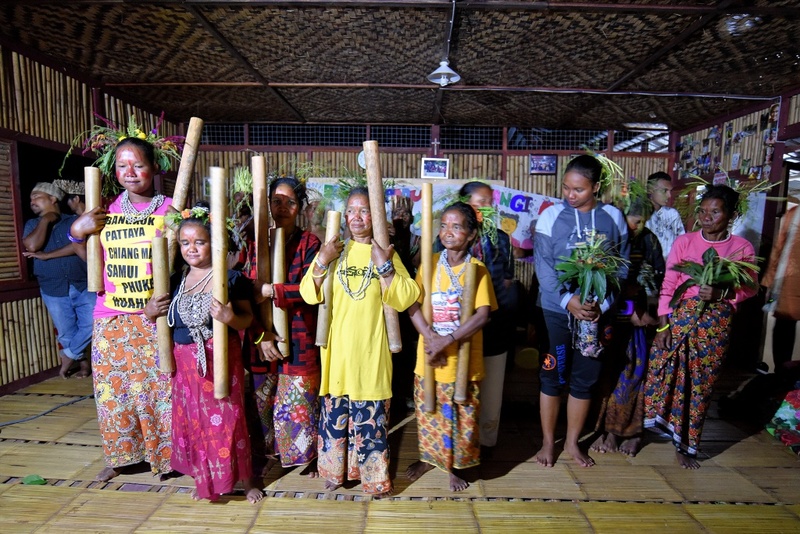 The orang asli community prepared a delicious spread for all after mass. 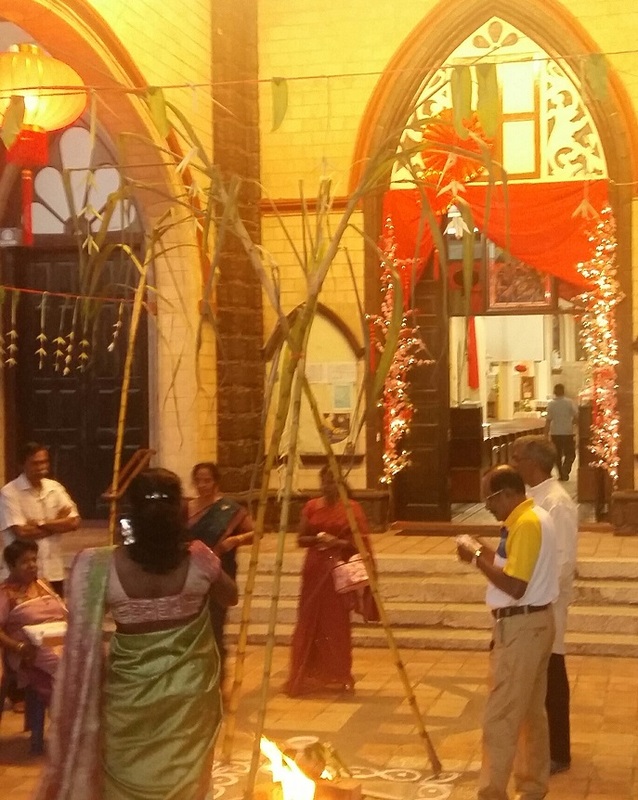 The Indian group of St Michael's church hosted a Ponggal celebration at the Parish Activity Centre after the Sunday morning mass on 4th Feb 2018. 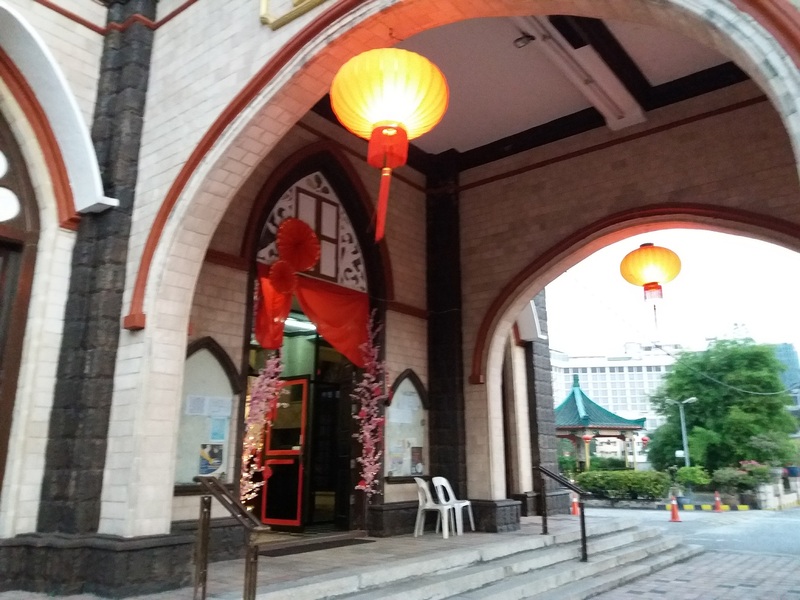 The traditional boiling of rice and milk in an earthenware pot was done outside the church, in the early hours before the morning English-language mass on 4th Feb 2018. The Indian group offered the Ponggal goodies together with the bread and wine during the Presentation of Gifts during mass. 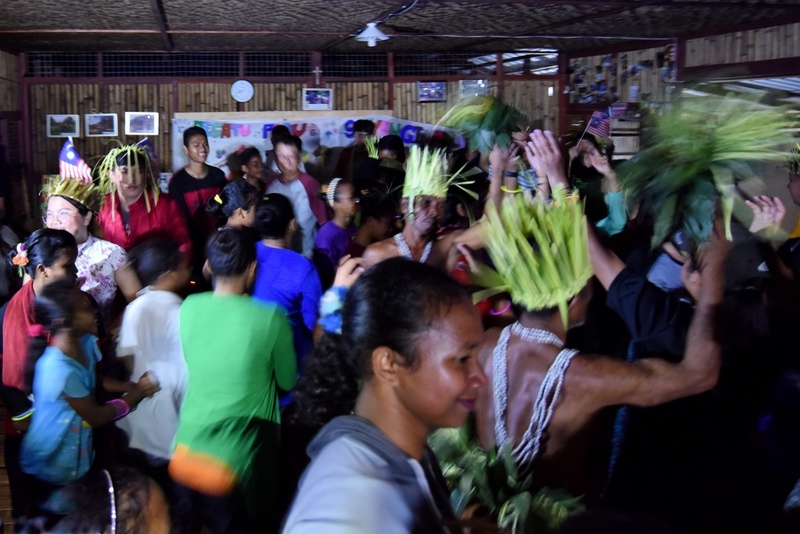 Parishioners were treated to traditional Ponggal fare of sticky rice among other meals. St Michael's parish wishes all our Indian friends and parishioners a Happy Ponggal. 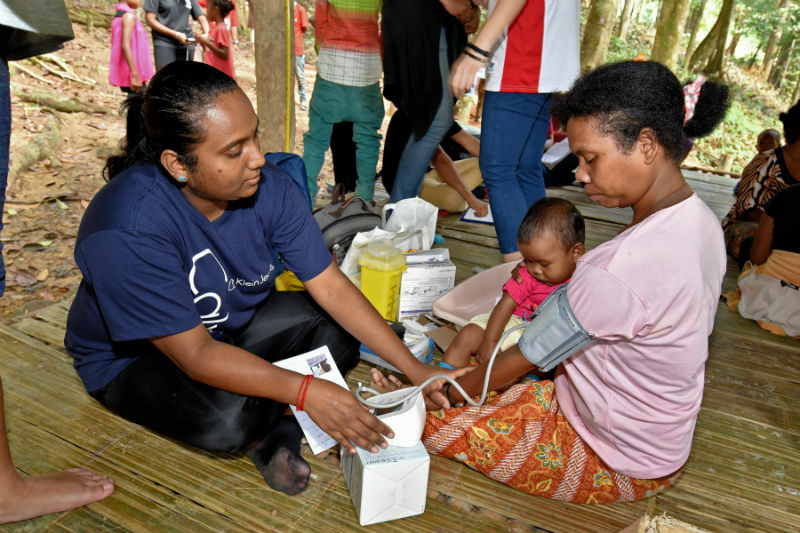 A medical camp was conducted at Kg Sinju orang asli village on the morning of 14th January 2018. 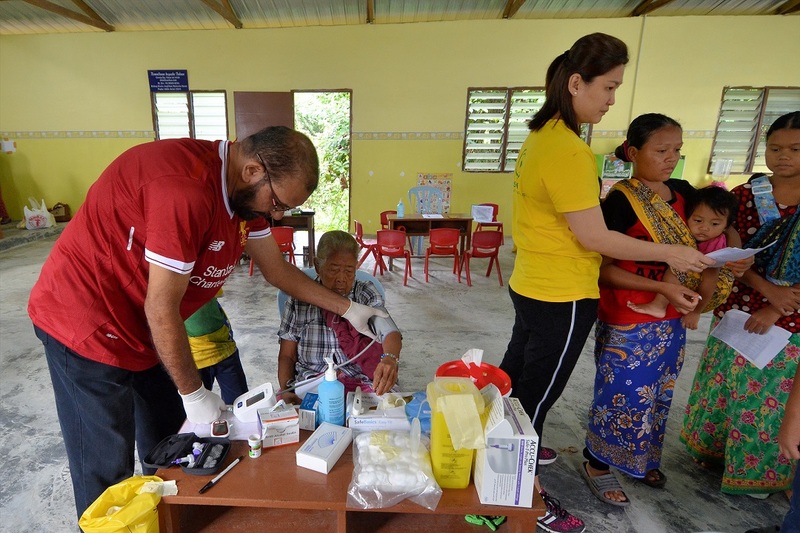 SOA's resident doctor was assisted by a team of volunteers from our parish BECs, and personnel including doctors,pharmacist and nurses from Hospital Fatimah,Ipoh and HRPB Ipoh. 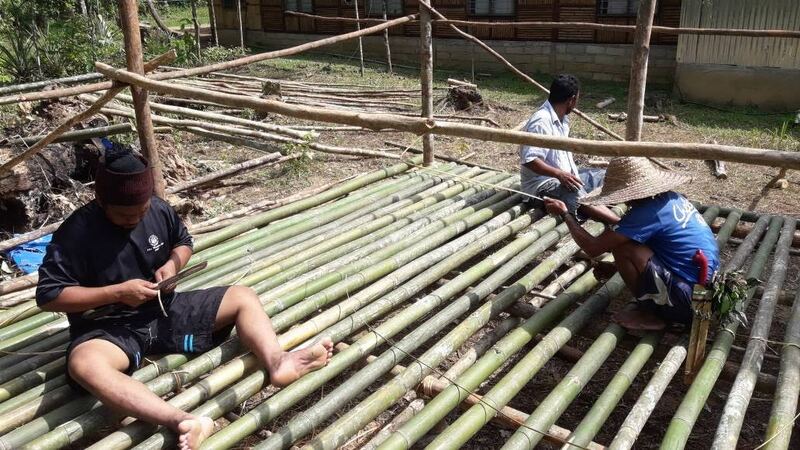 The Society of St Vincent de Paul (SSVP) held a Banana Leaf Rice Charity Lunch at St Michael's church parish activity centre on 21st Jan 2018. 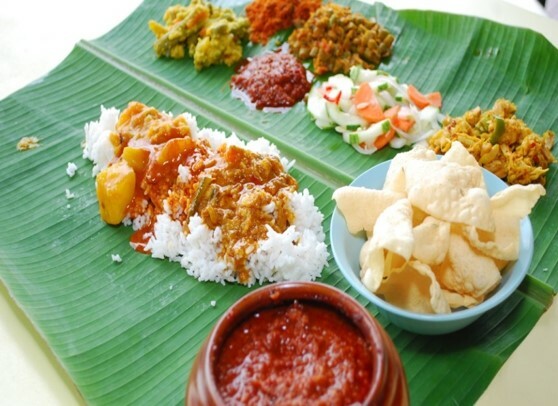 The delicious banana leaf meals were served from 9.00a.m. to 2.30p.m. 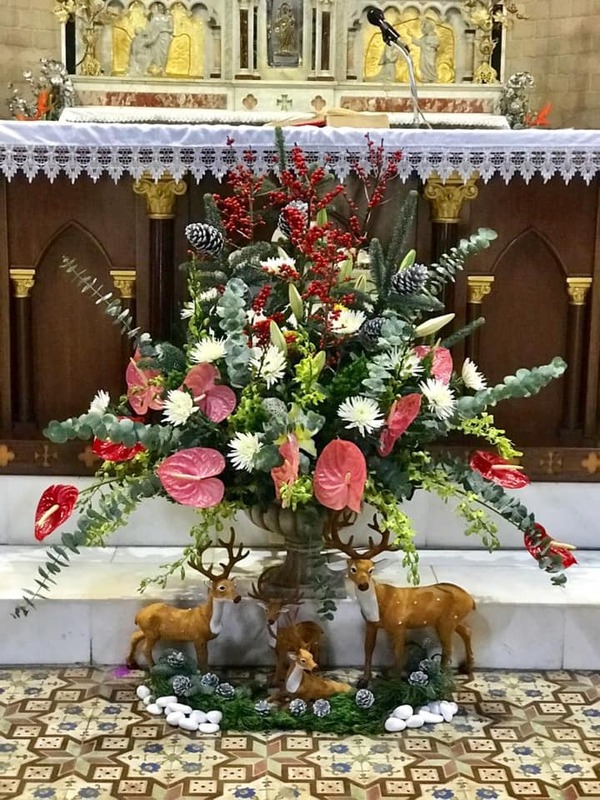 The event was a rousing success and the SSVP would like to thank parishioners from St Michael's church and all other parishes for their generous support towards this Charity Lunch. 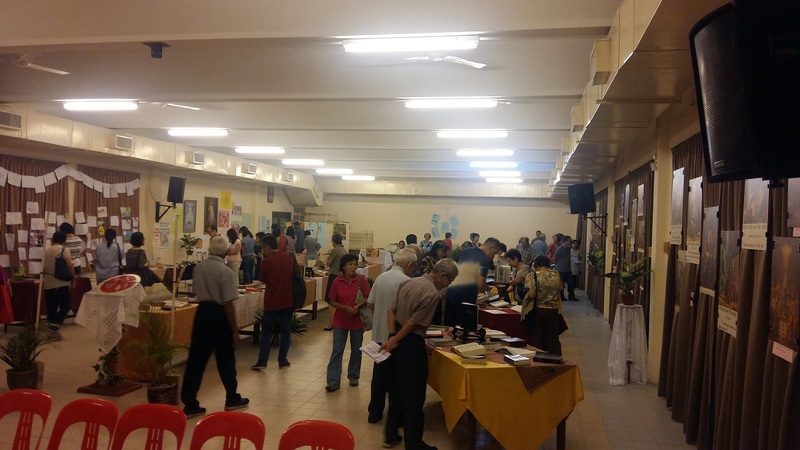 Special thanks to parish priest, Fr Stephen Liew for allowing the use of St Michaels' activity centre. 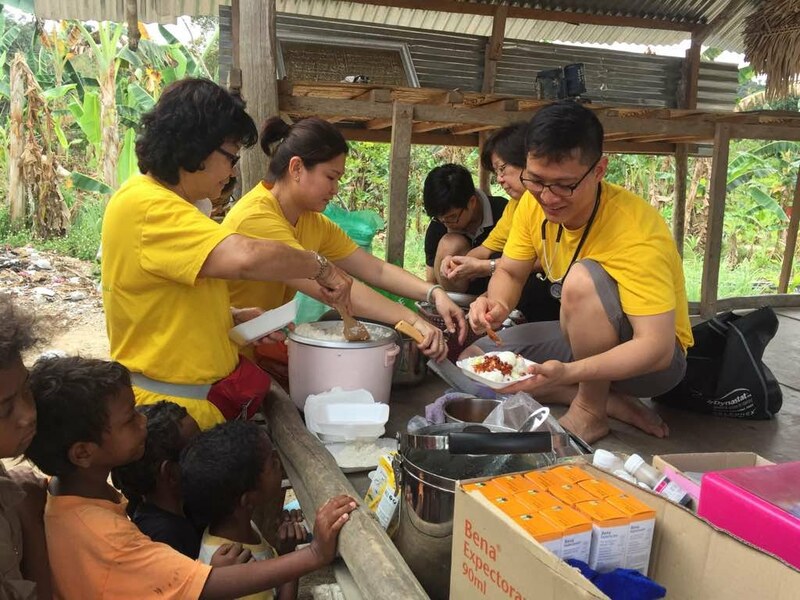 Proceeds from this charity lunch will go to the Yayasan Ozanam (Drop-in Centre) in Sungai Siput, Perak. 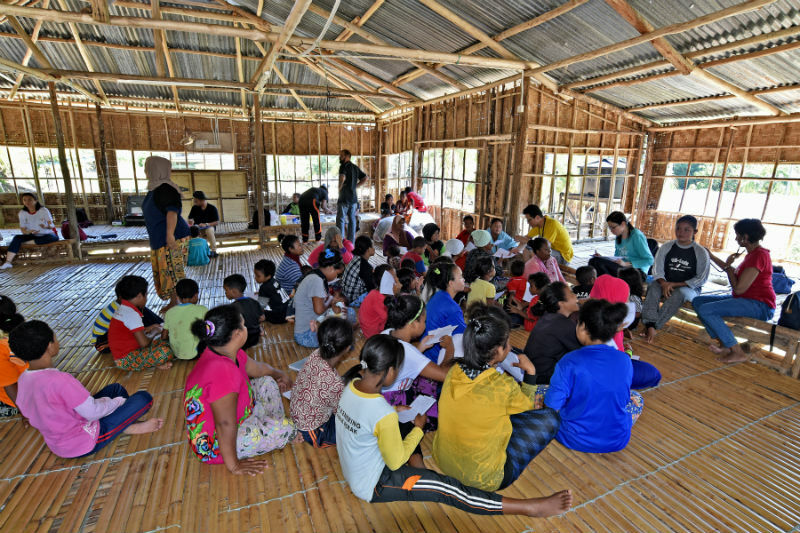 This centre is located in Kampung Muhibbah in Sg Siput,where children of underpriveleged families are given a safe environment to study and have a meal before or after going to school. 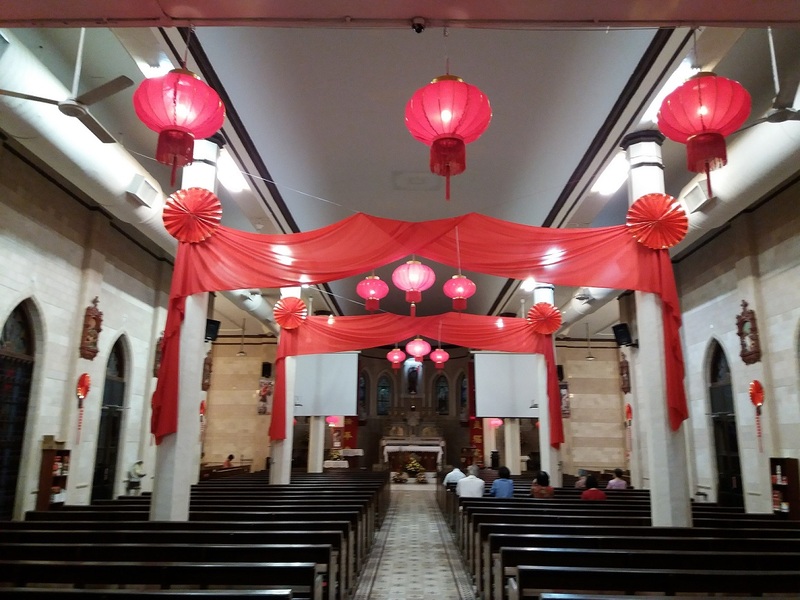 © 2018 Church of St. Michael,Ipoh. All rights reserved.